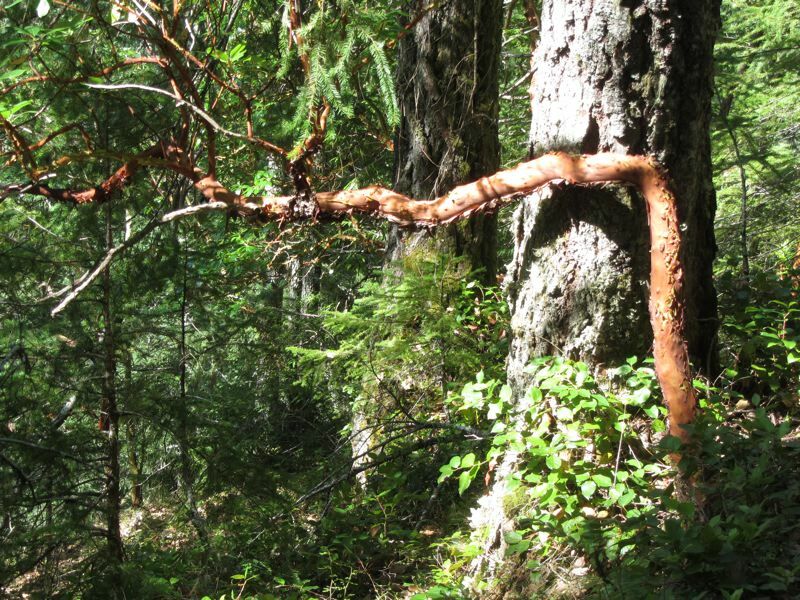 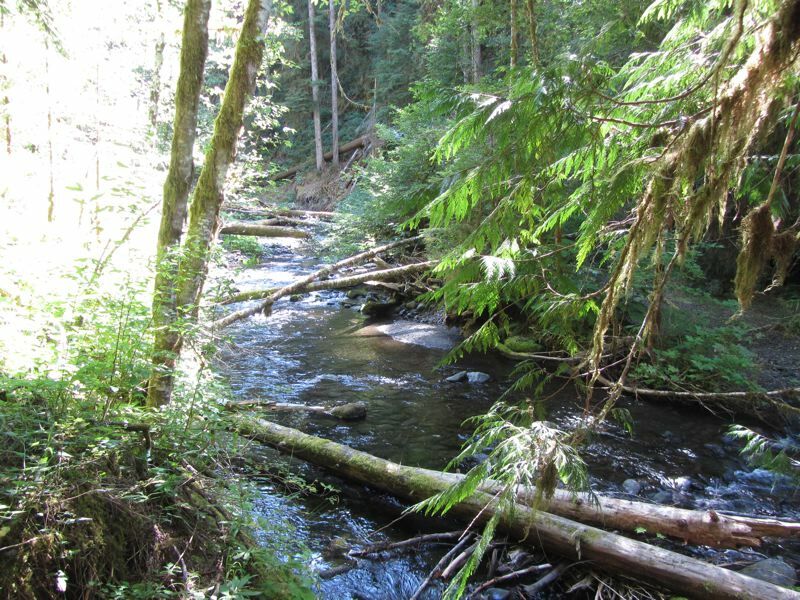 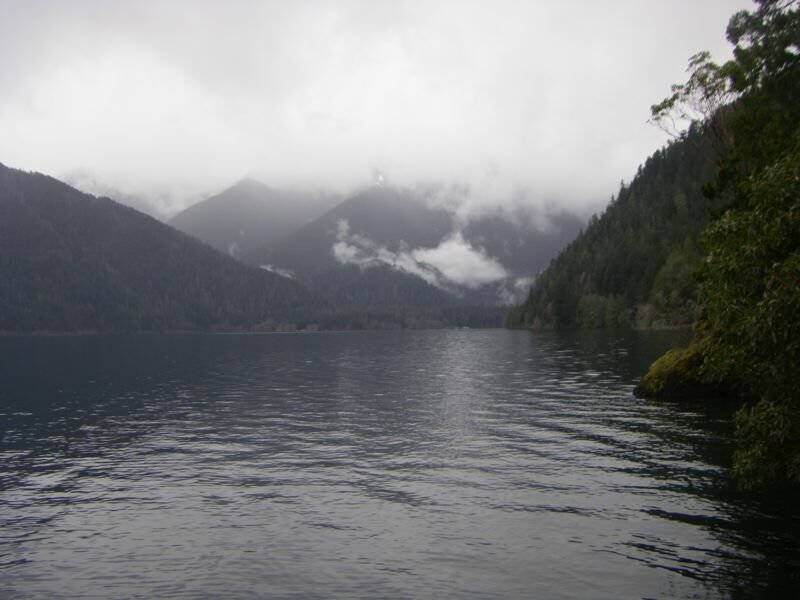 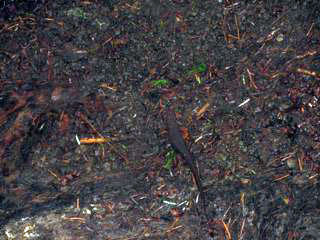 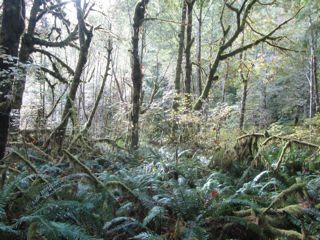 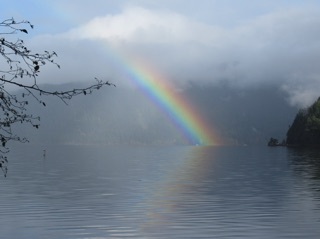 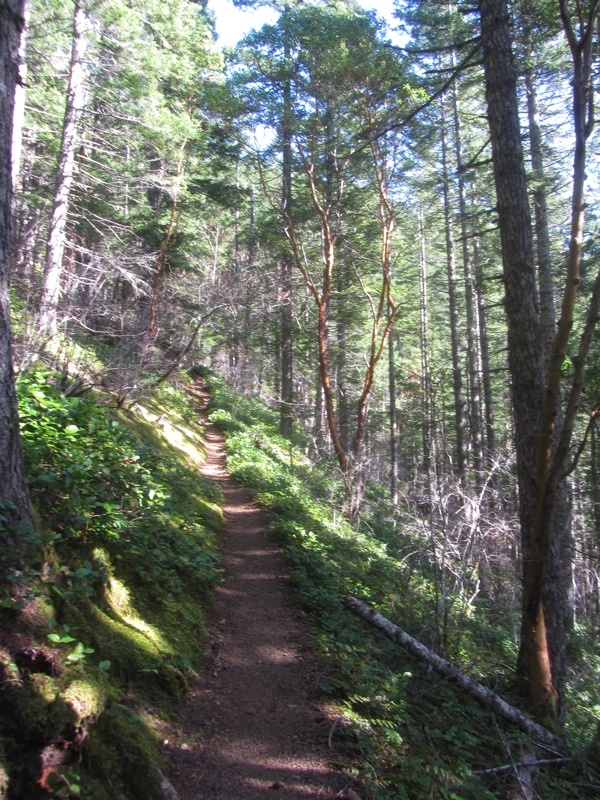 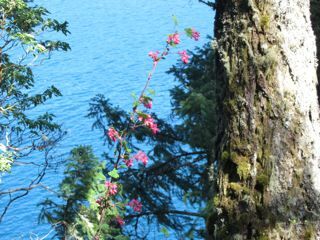 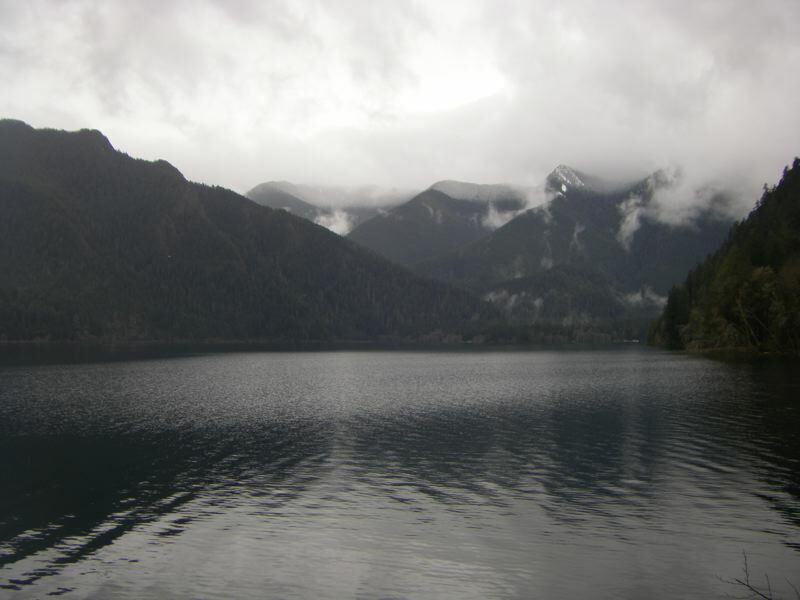 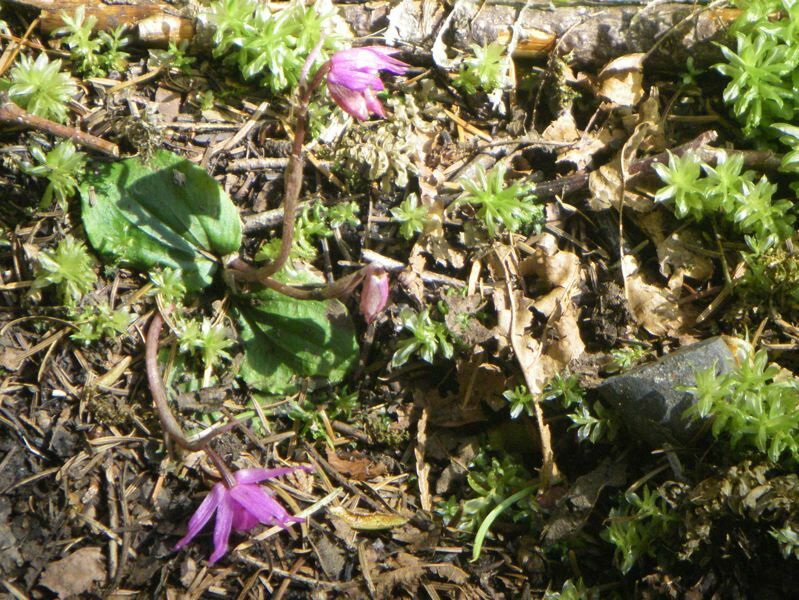 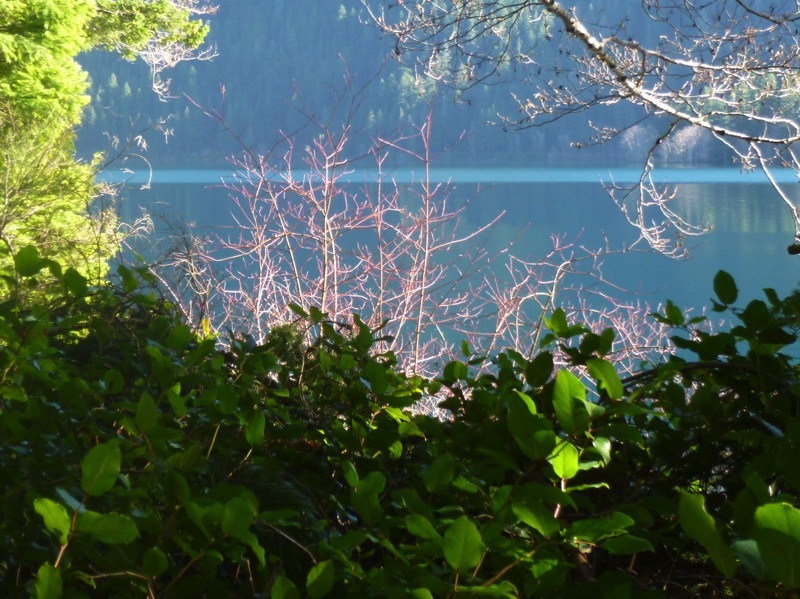 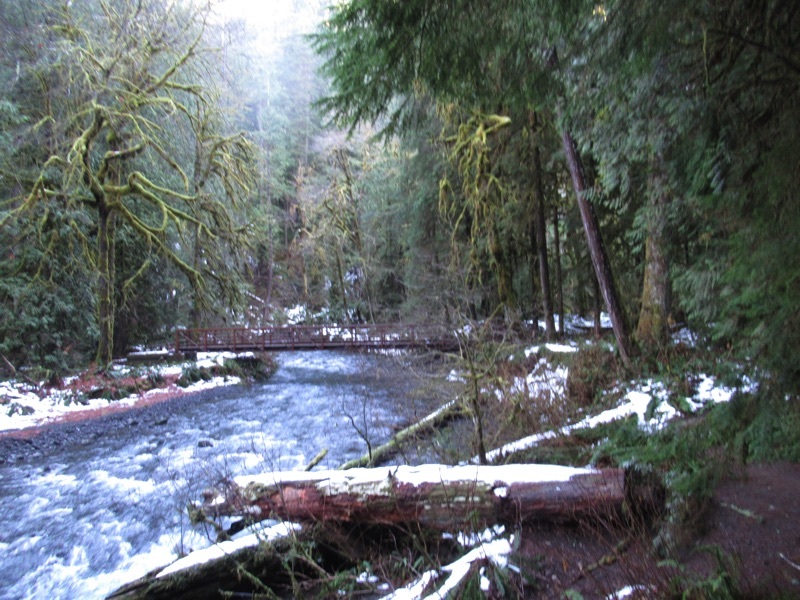 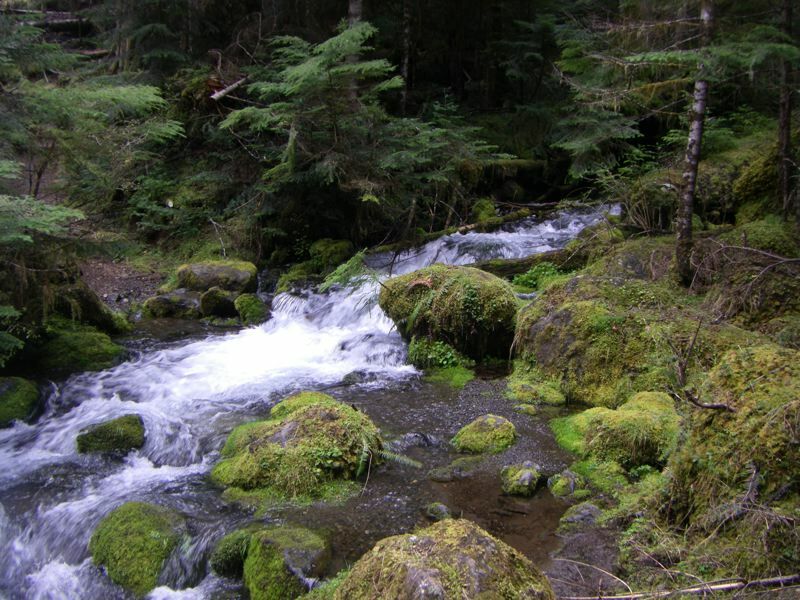 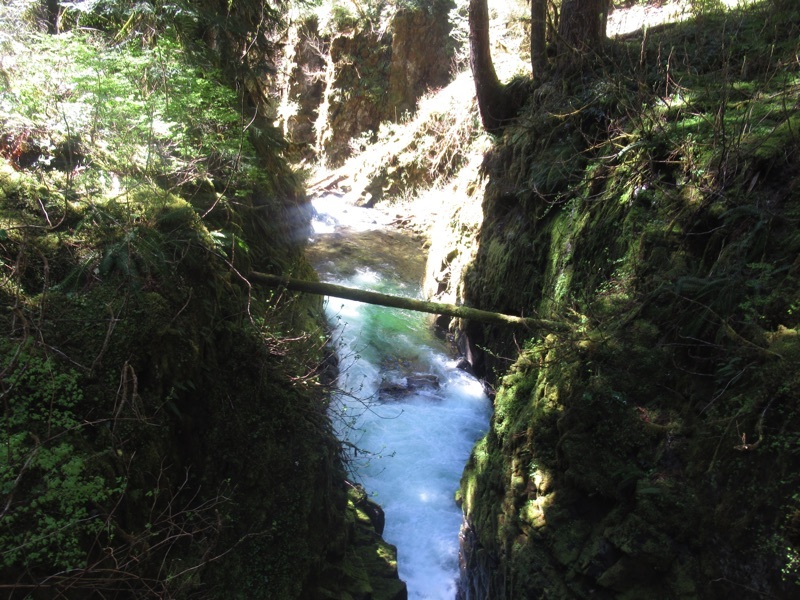 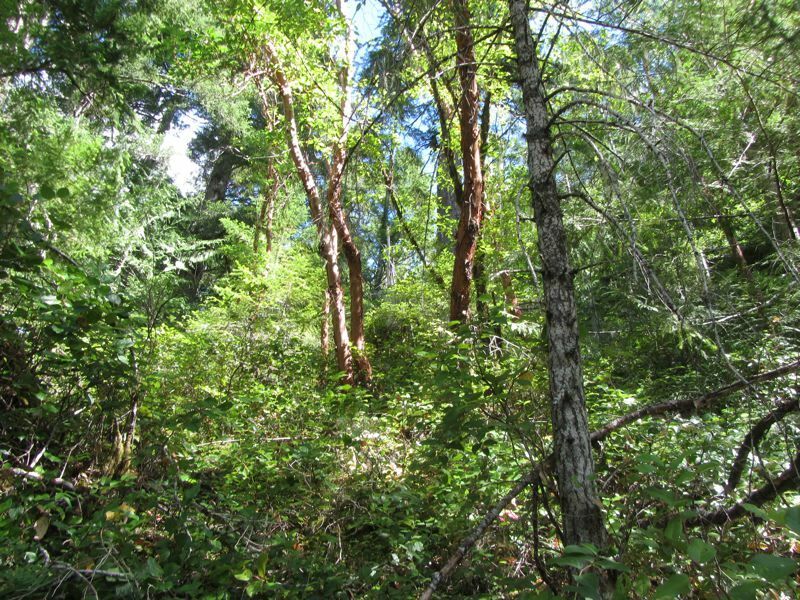 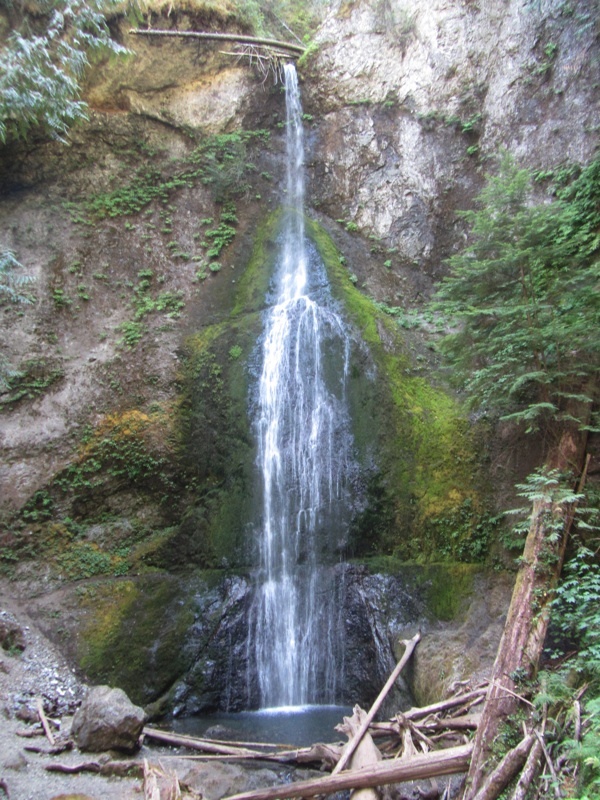 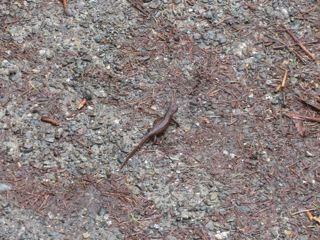 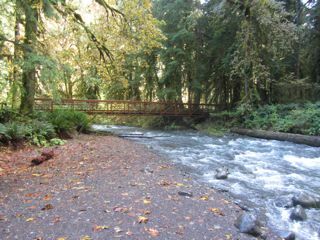 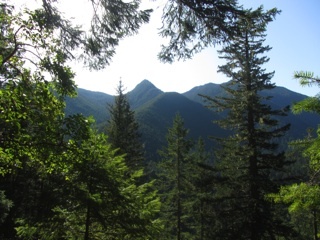 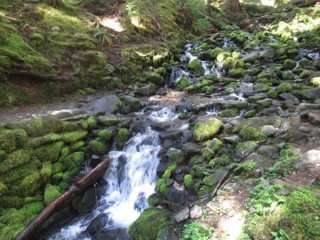 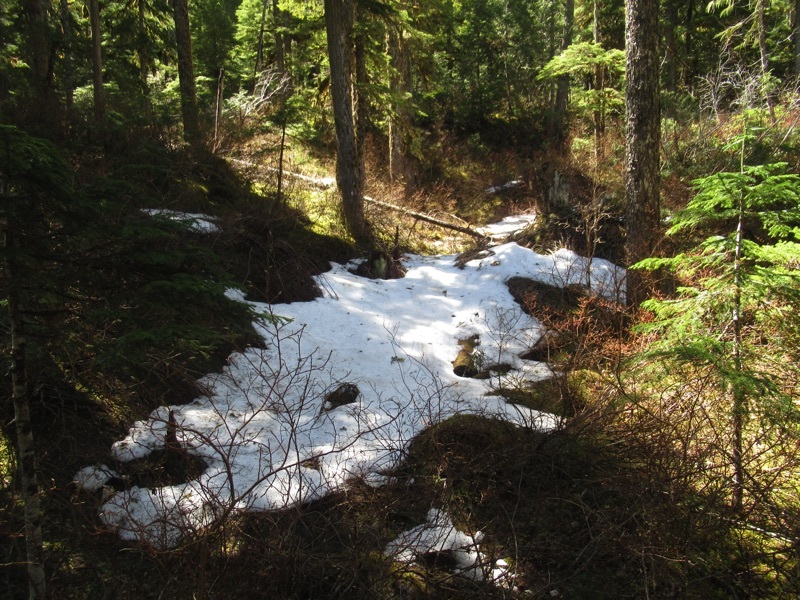 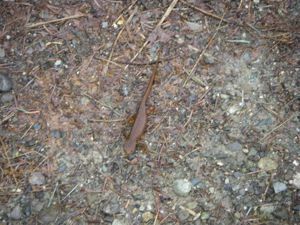 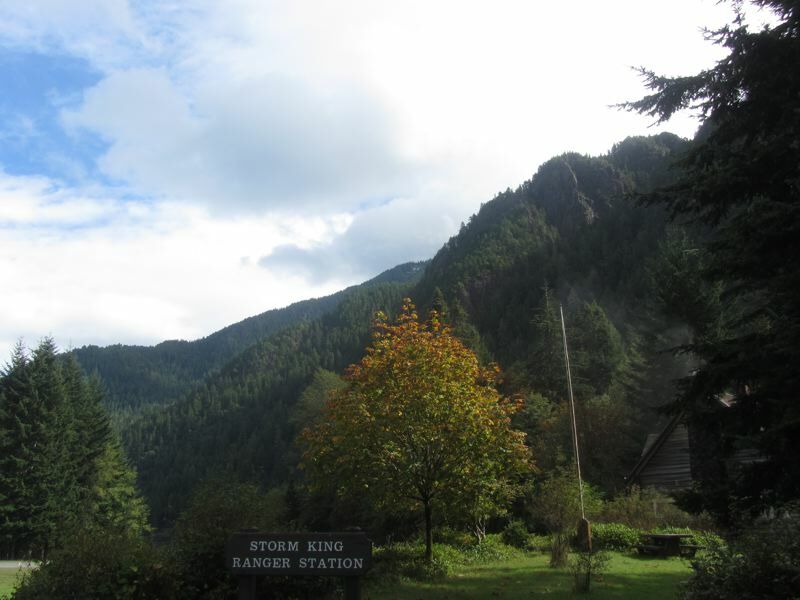 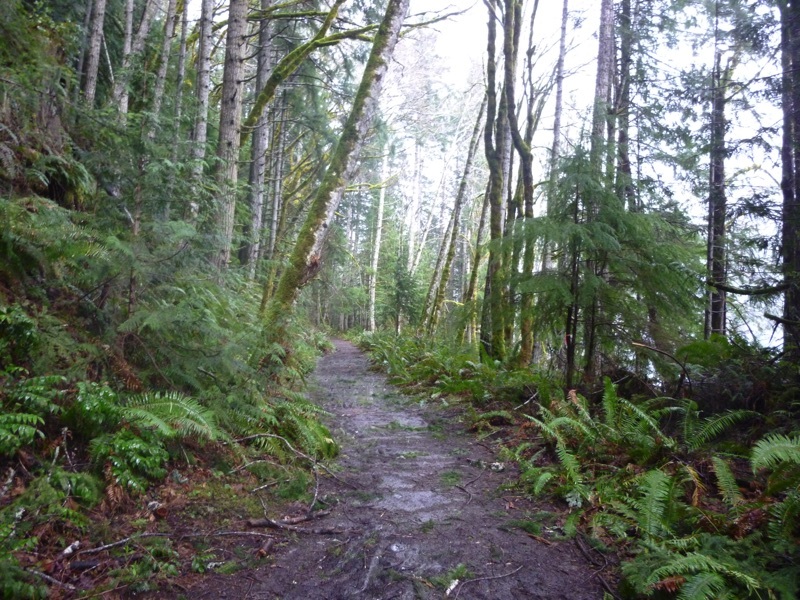 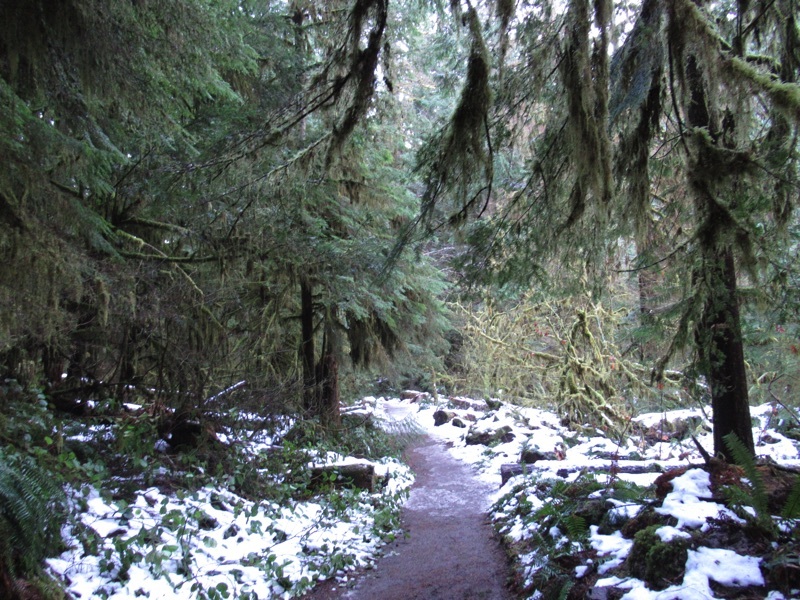 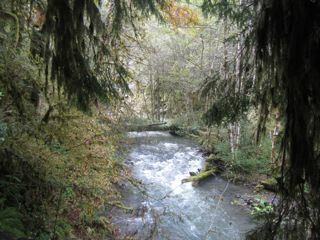 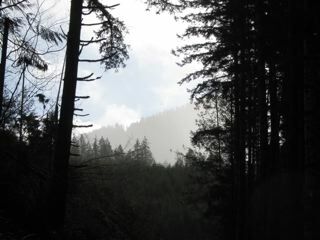 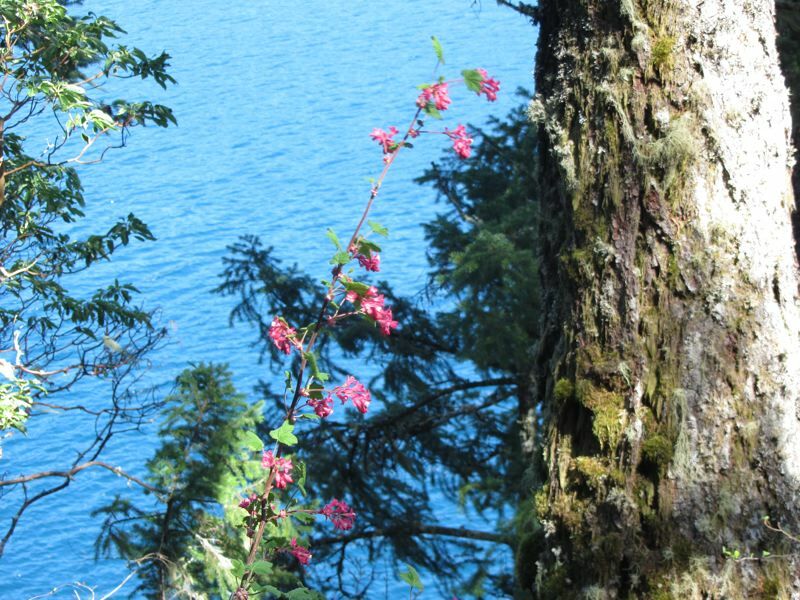 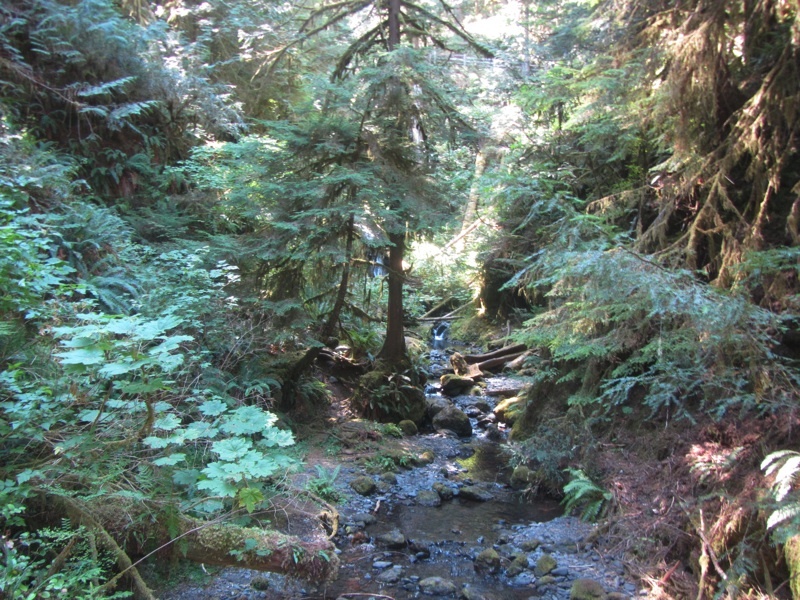 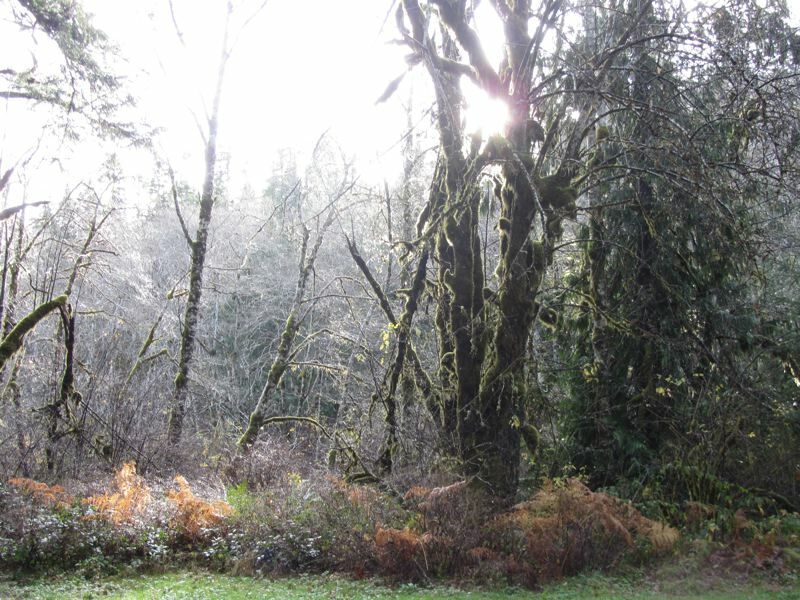 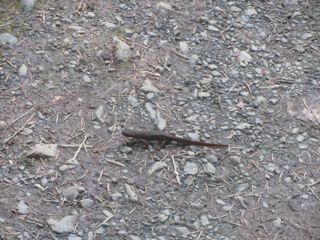 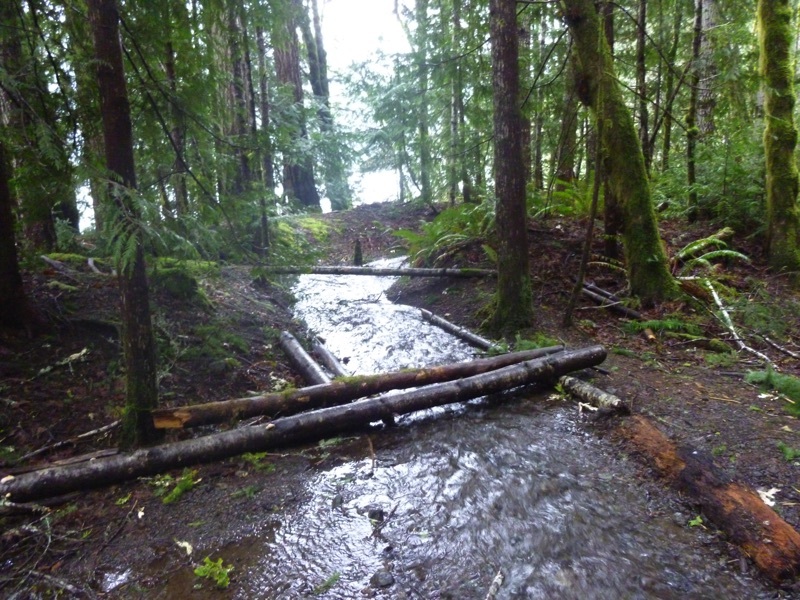 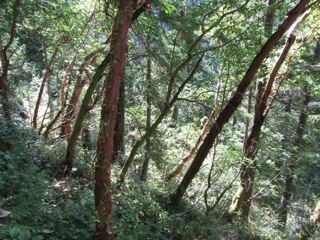 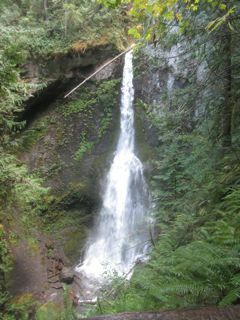 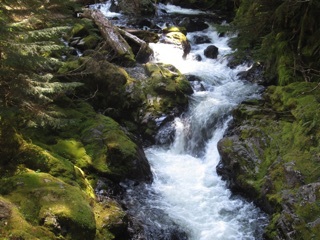 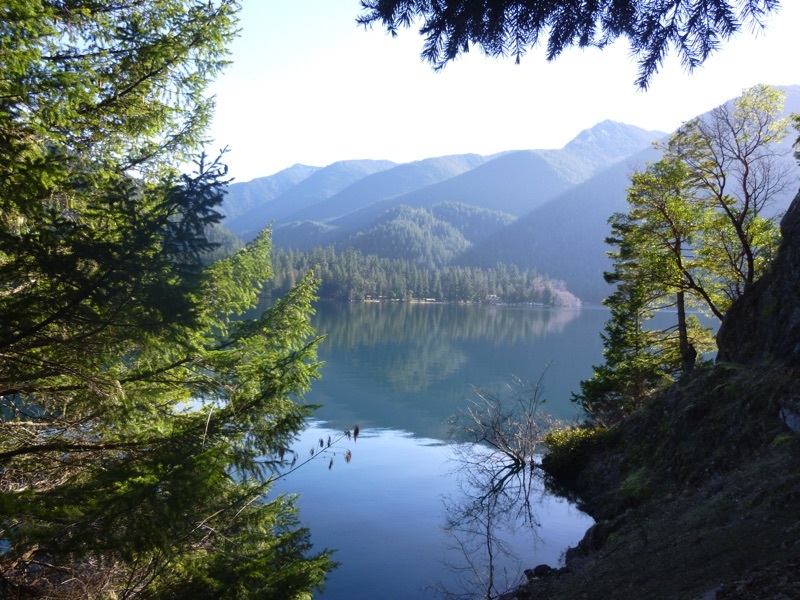 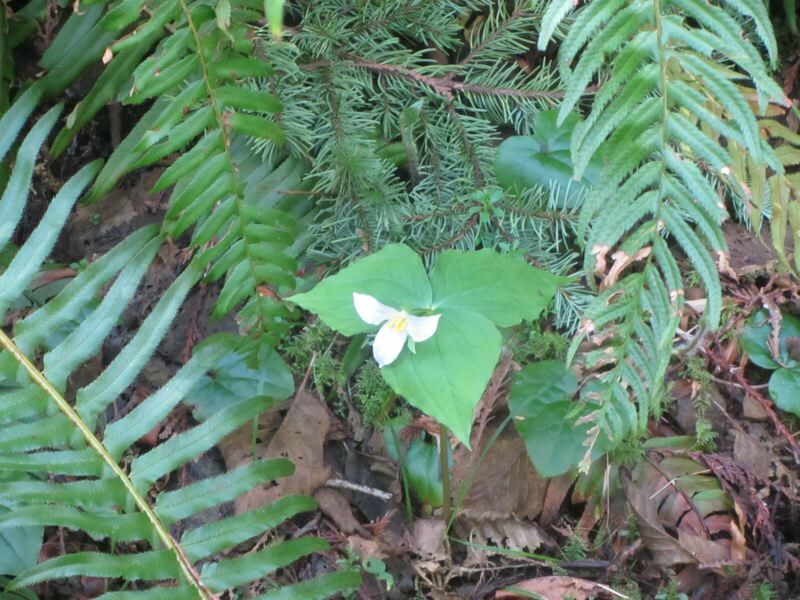 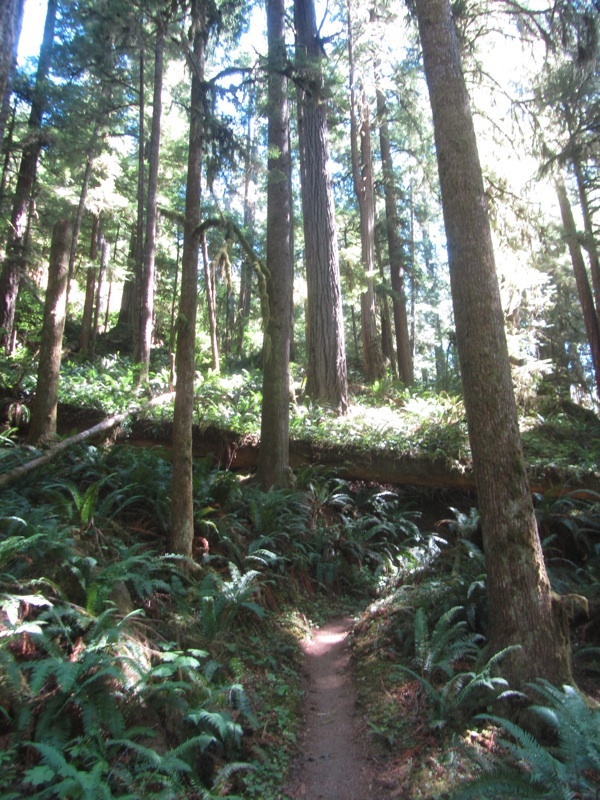 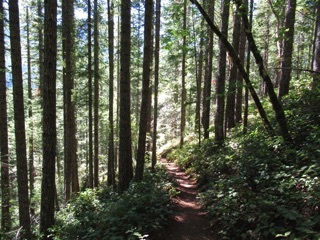 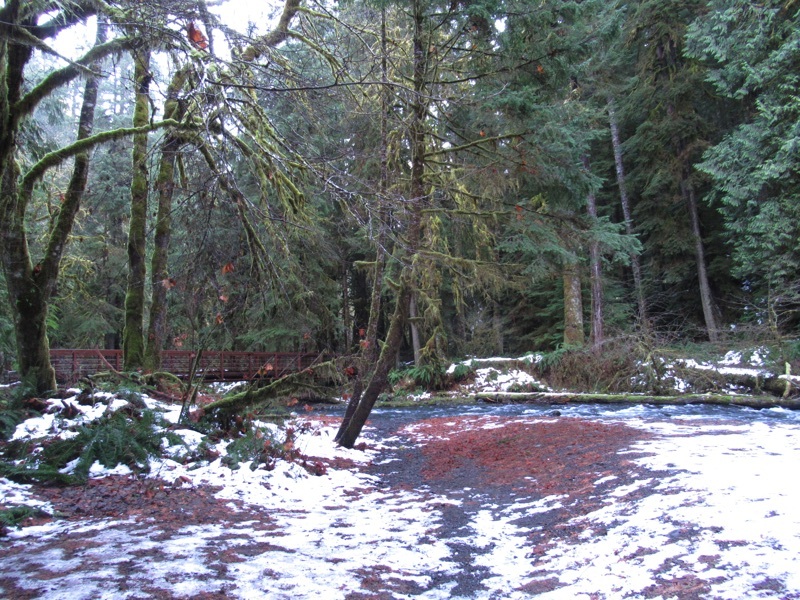 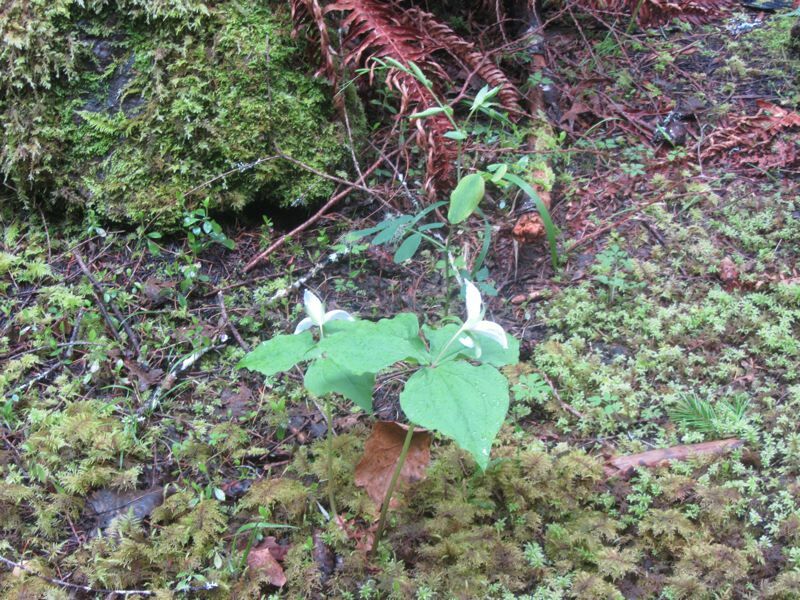 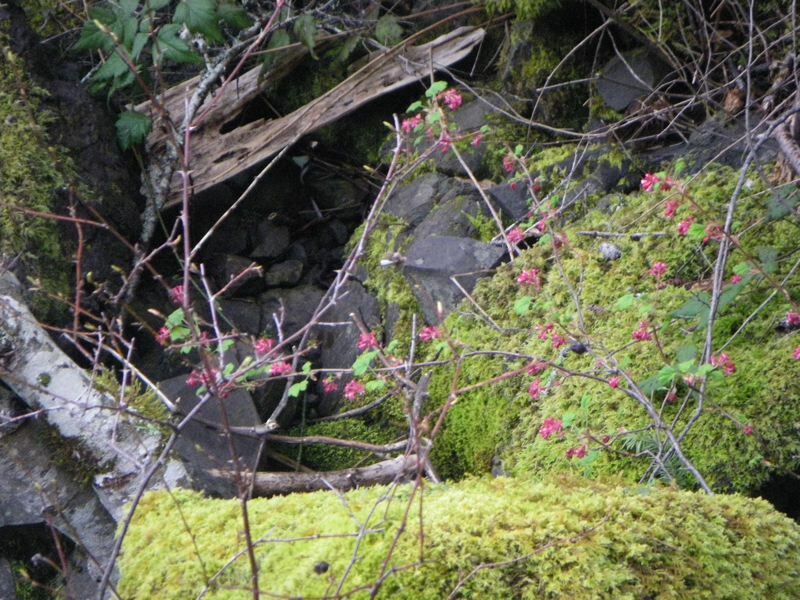 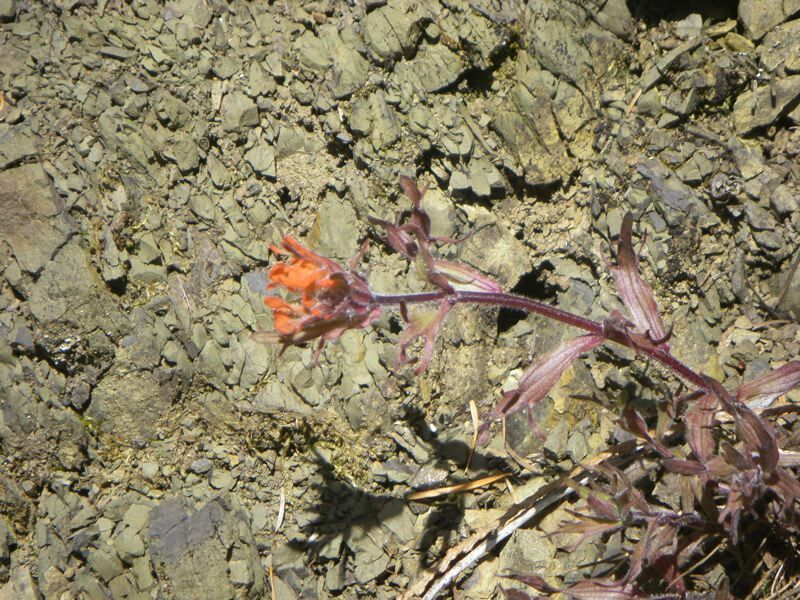 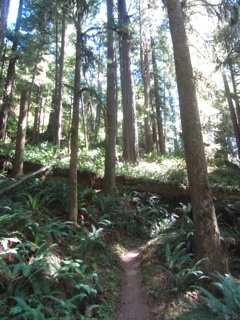 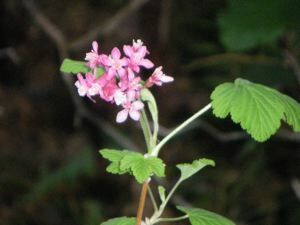 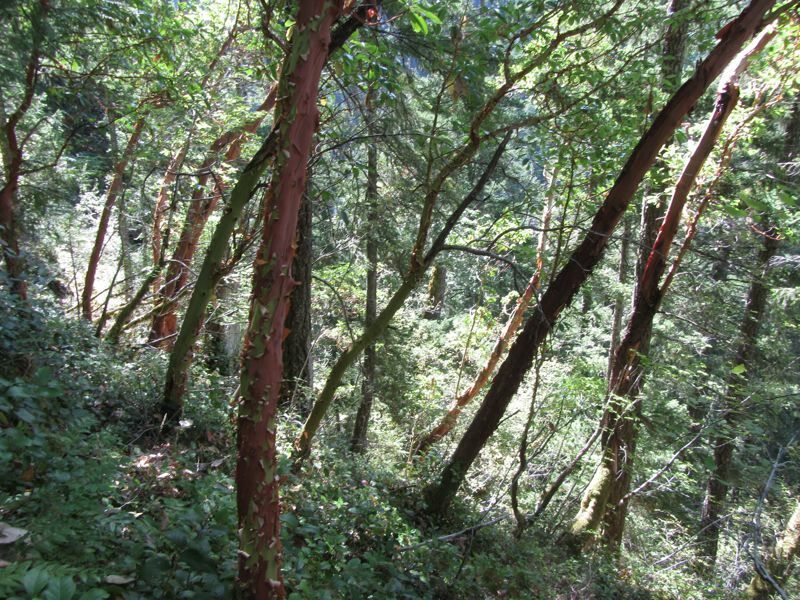 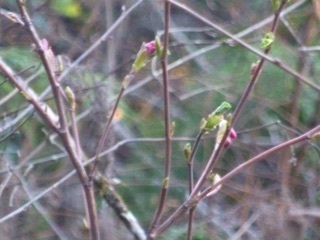 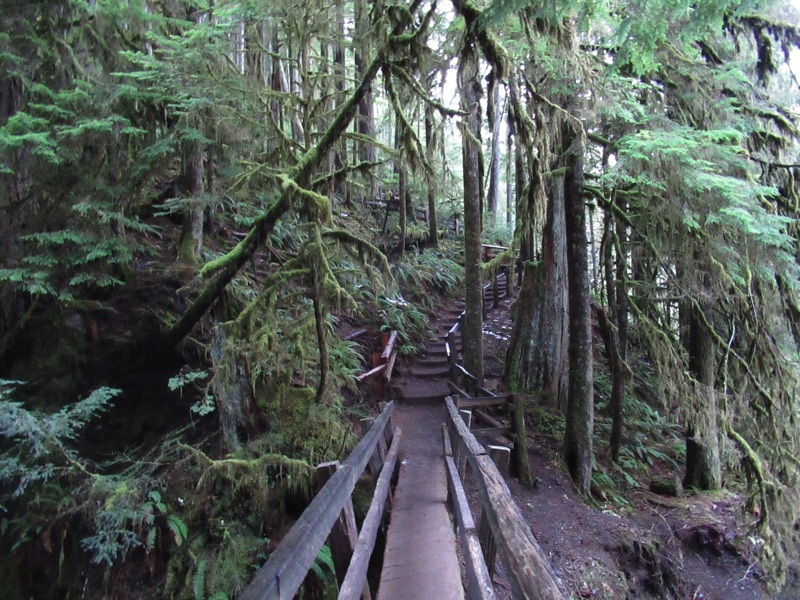 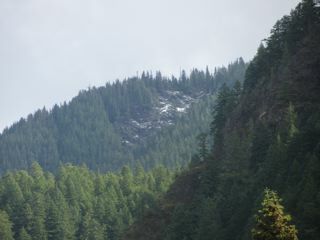 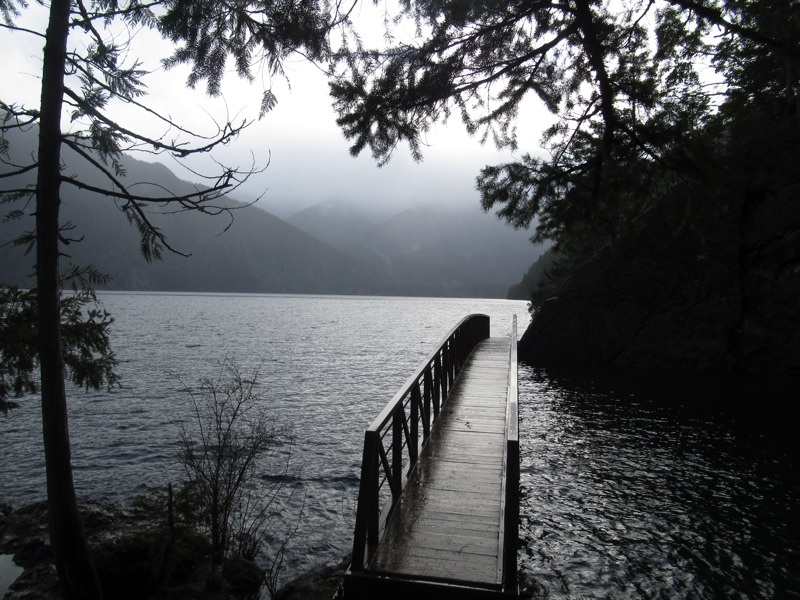 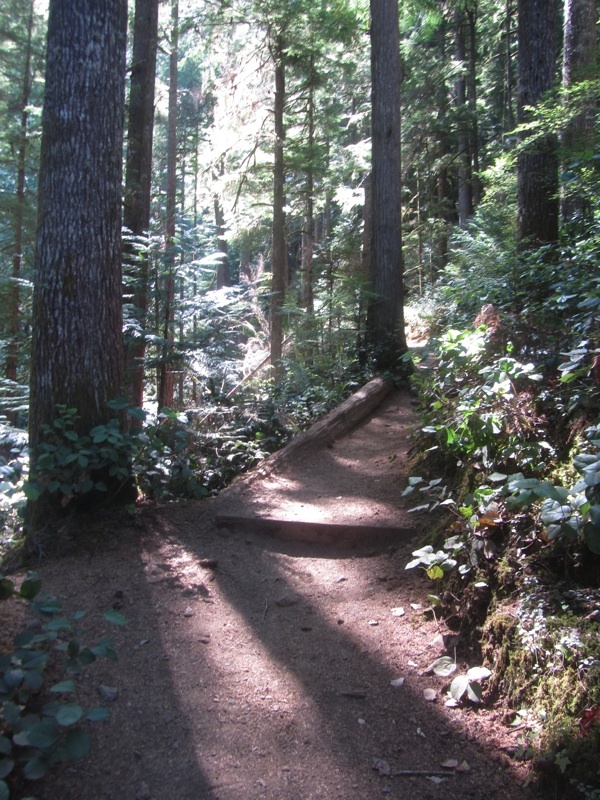 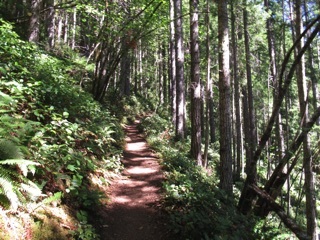 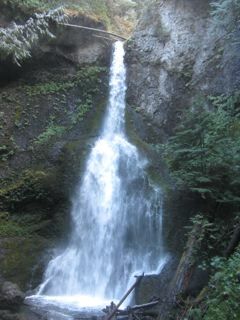 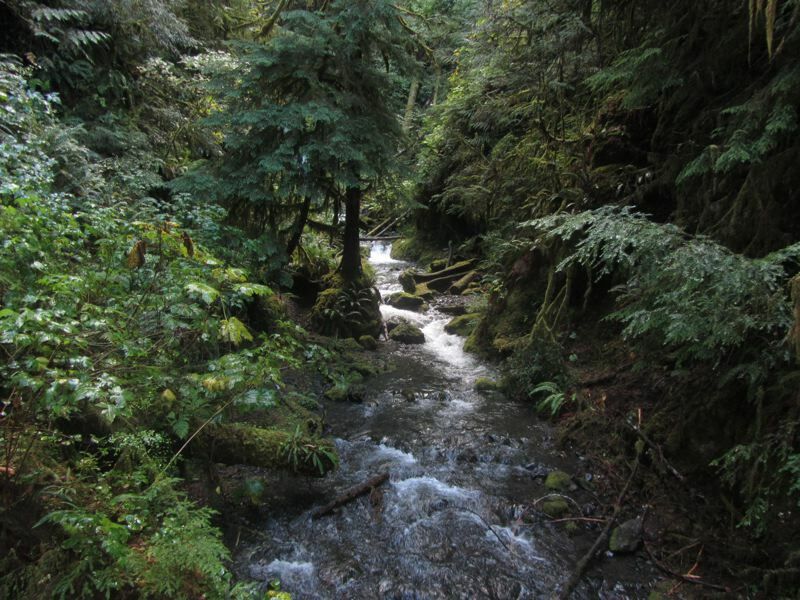 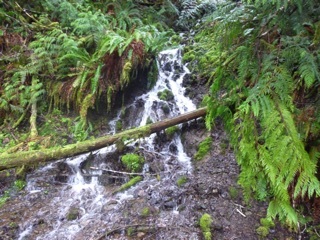 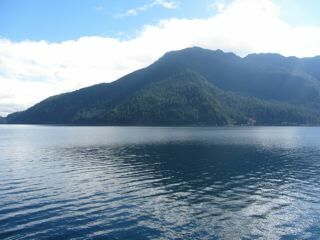 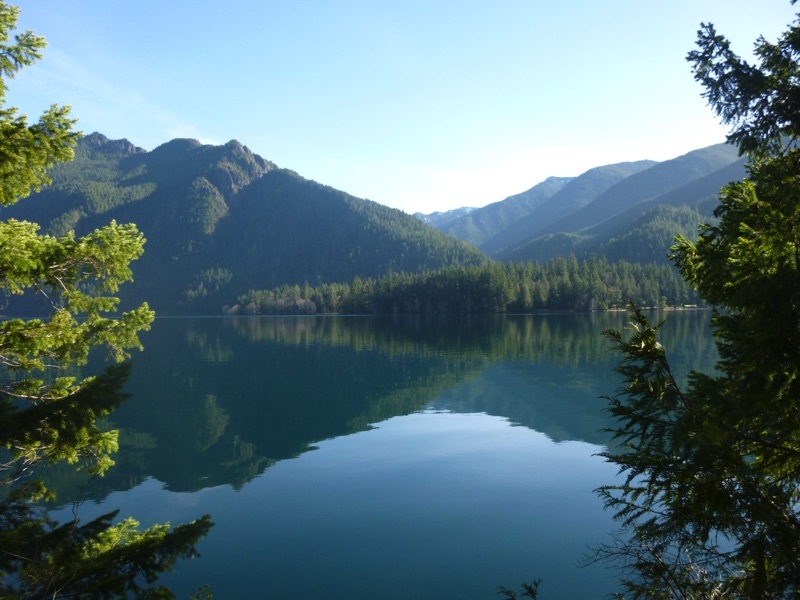 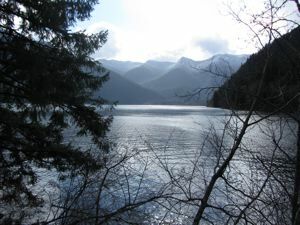 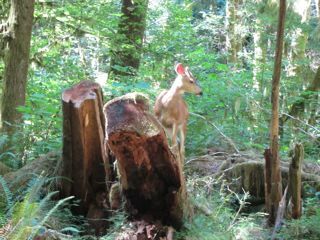 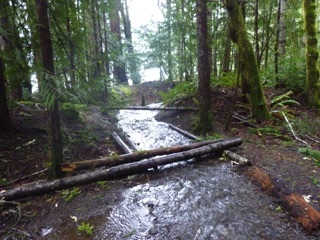 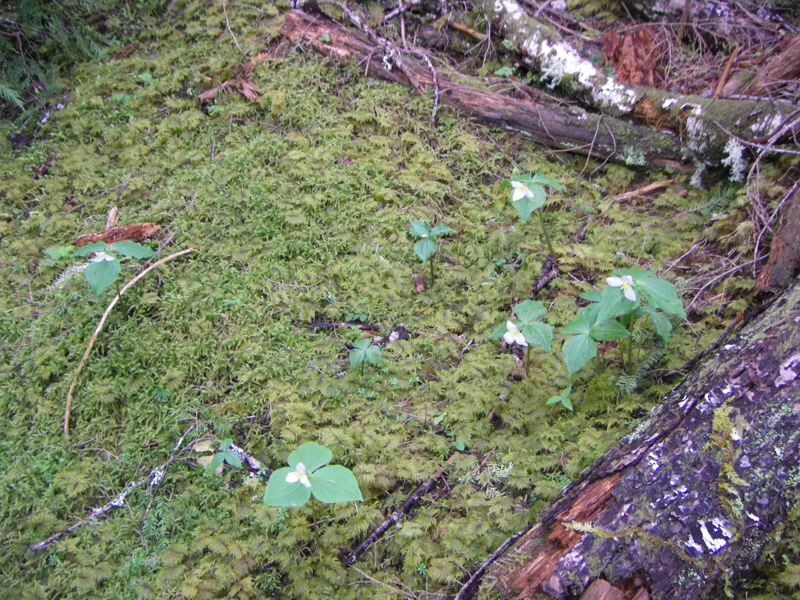 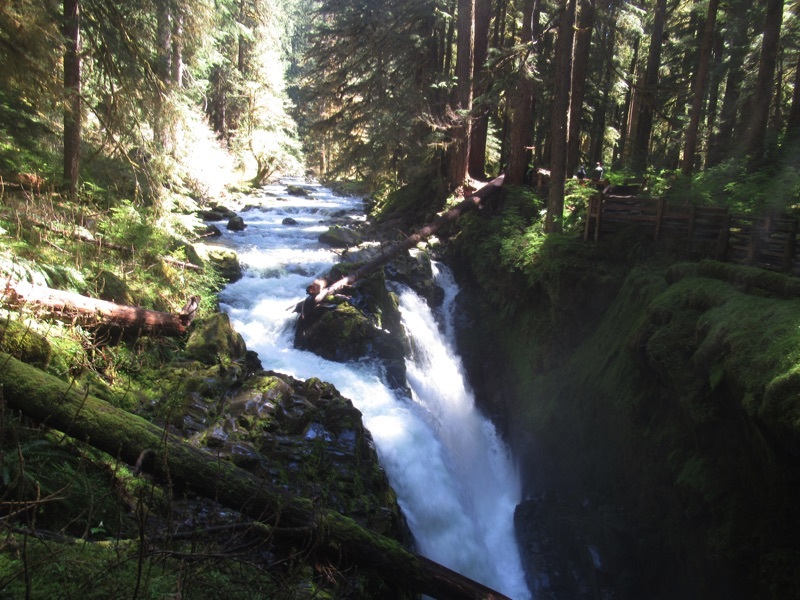 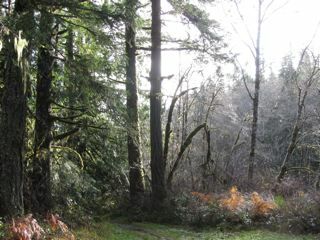 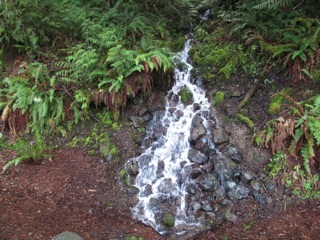 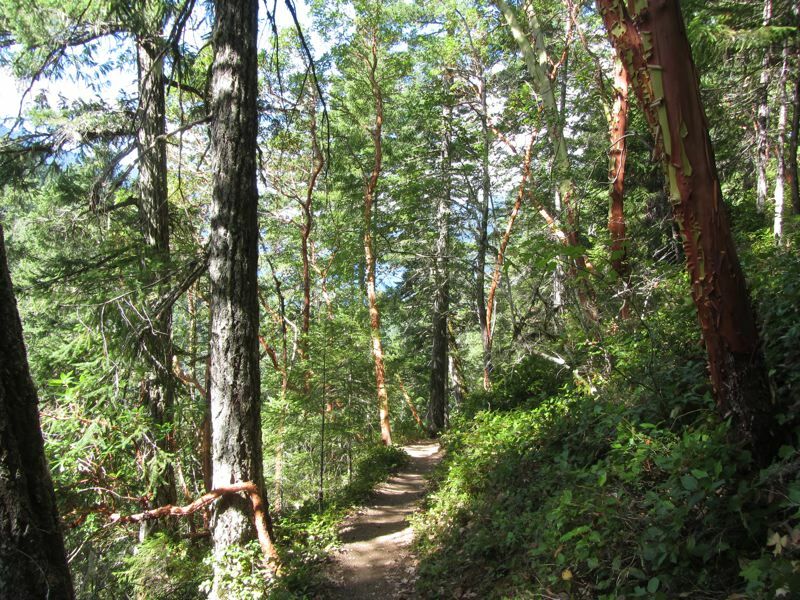 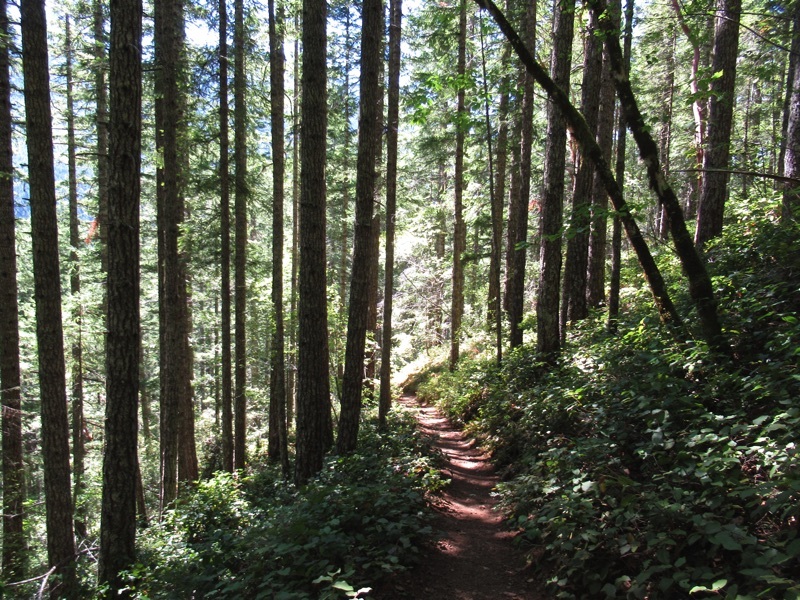 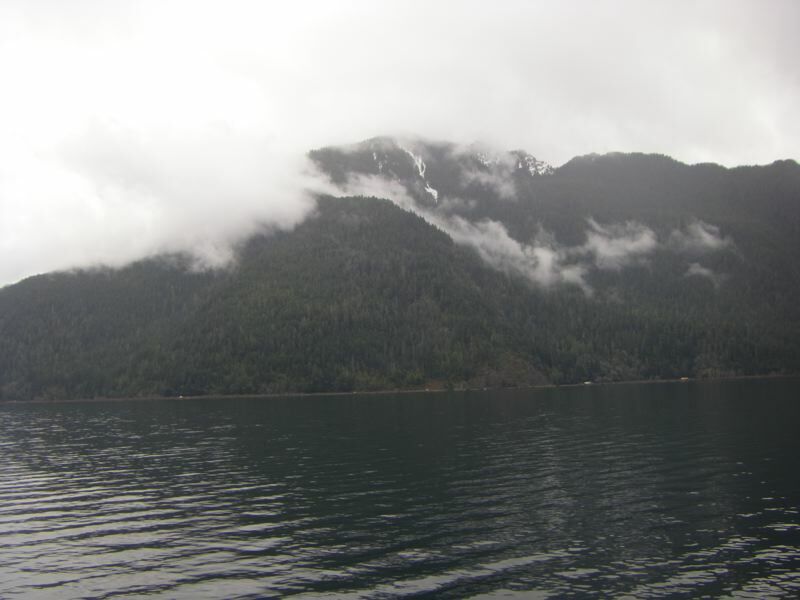 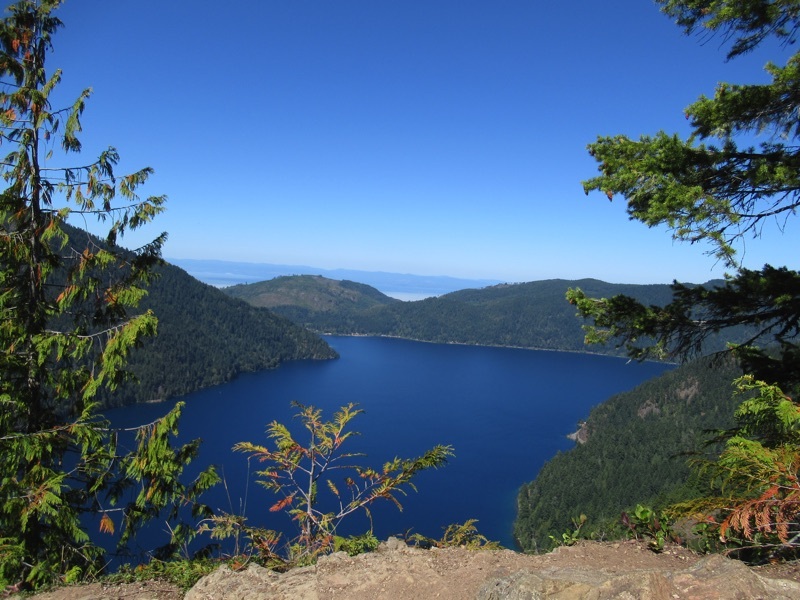 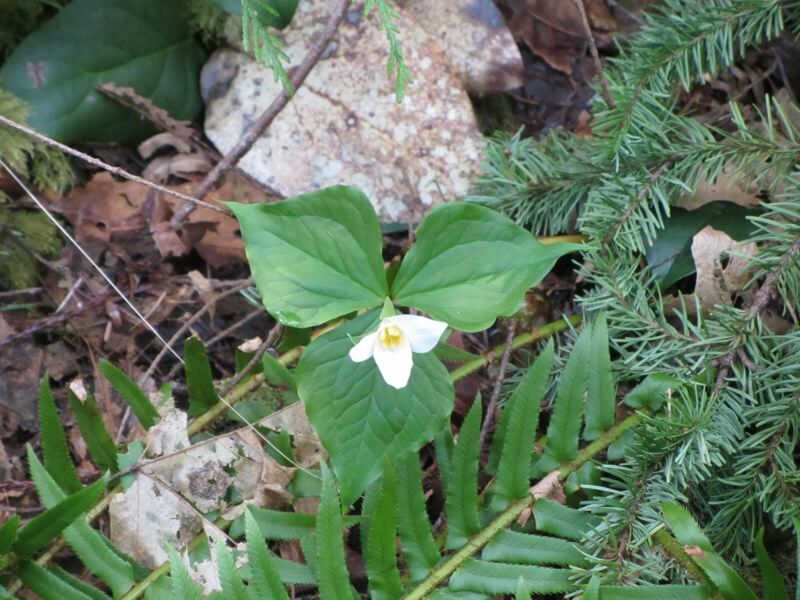 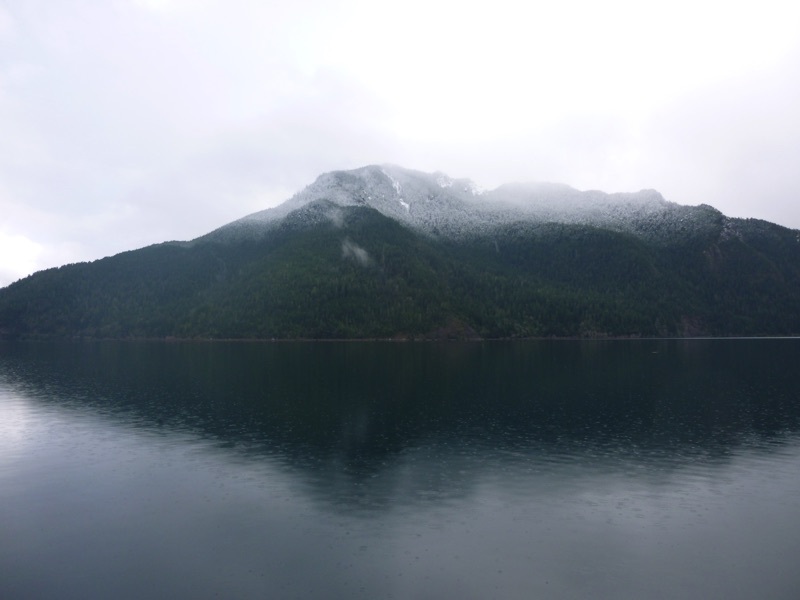 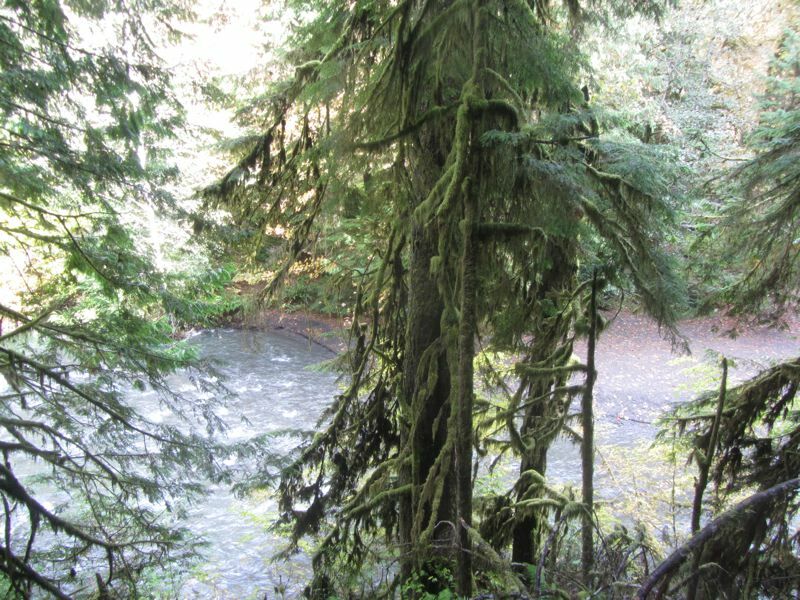 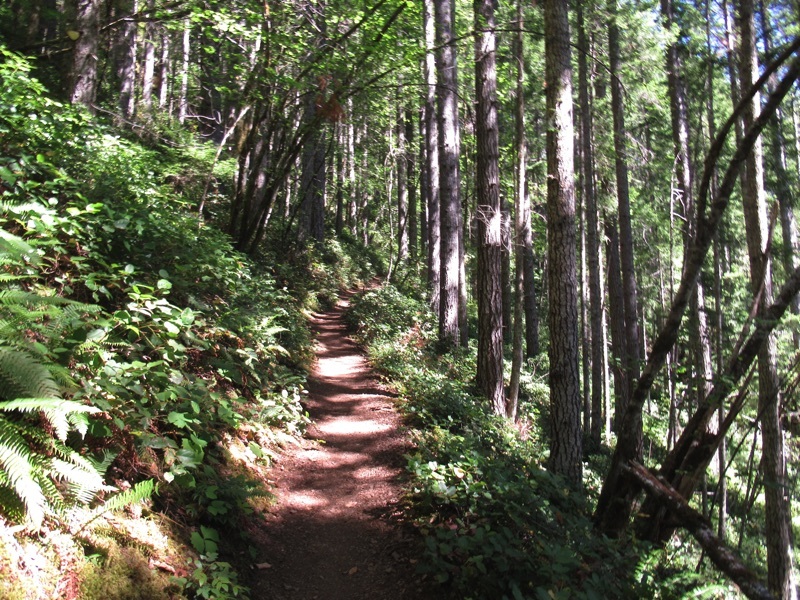 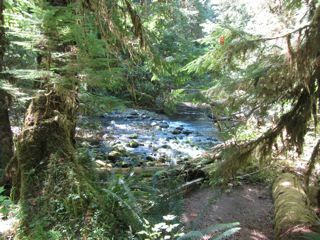 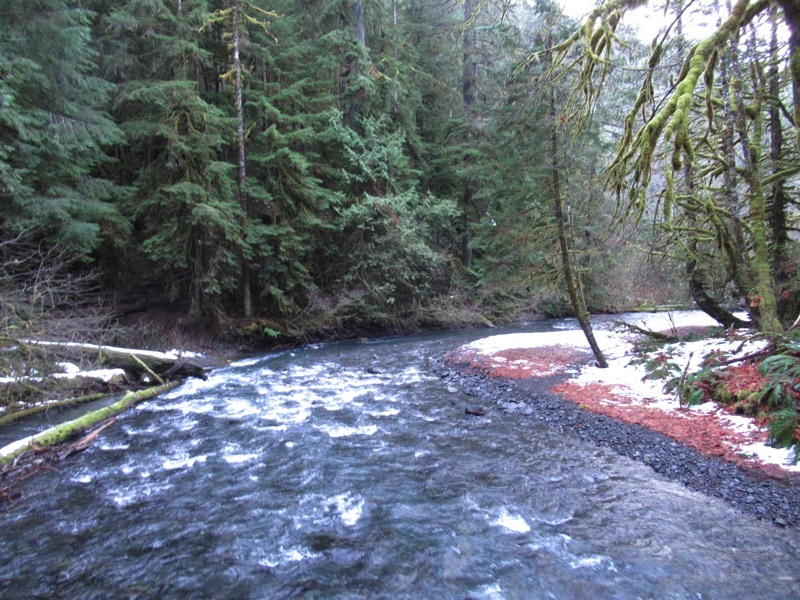 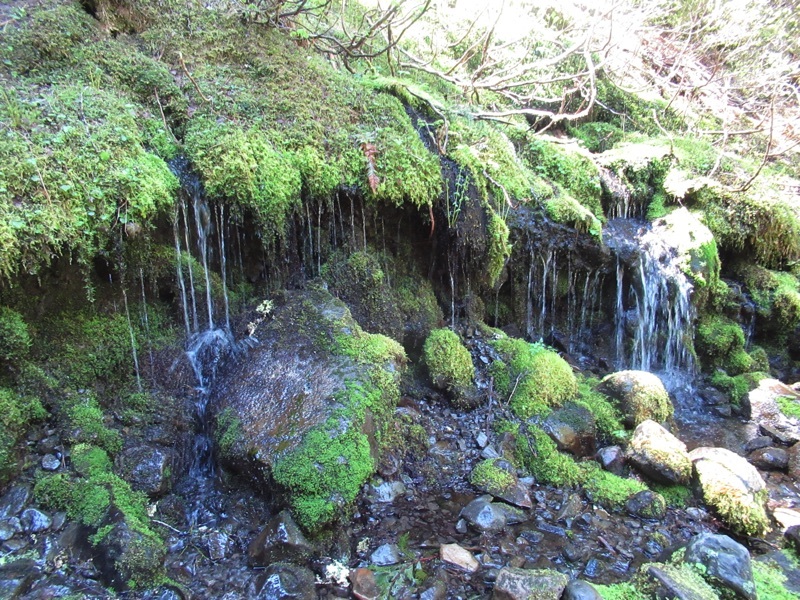 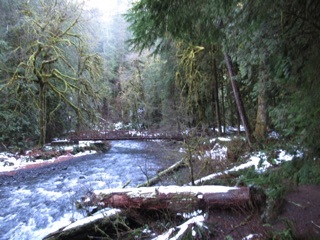 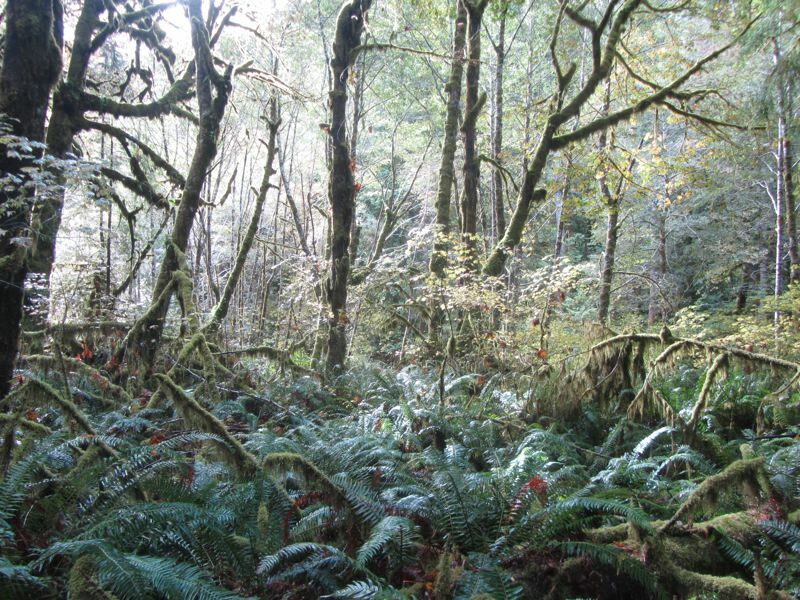 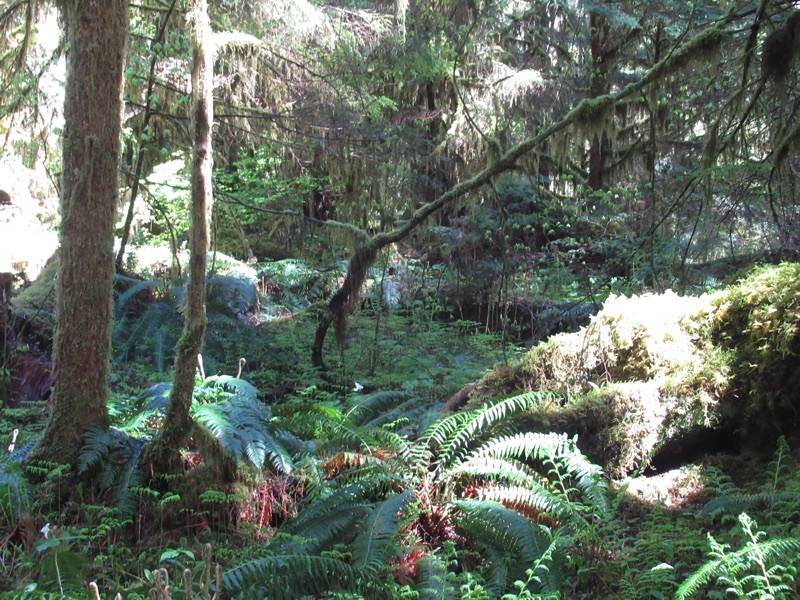 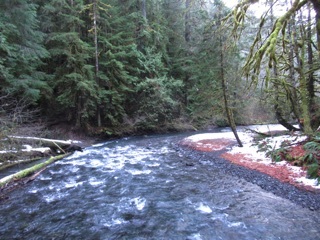 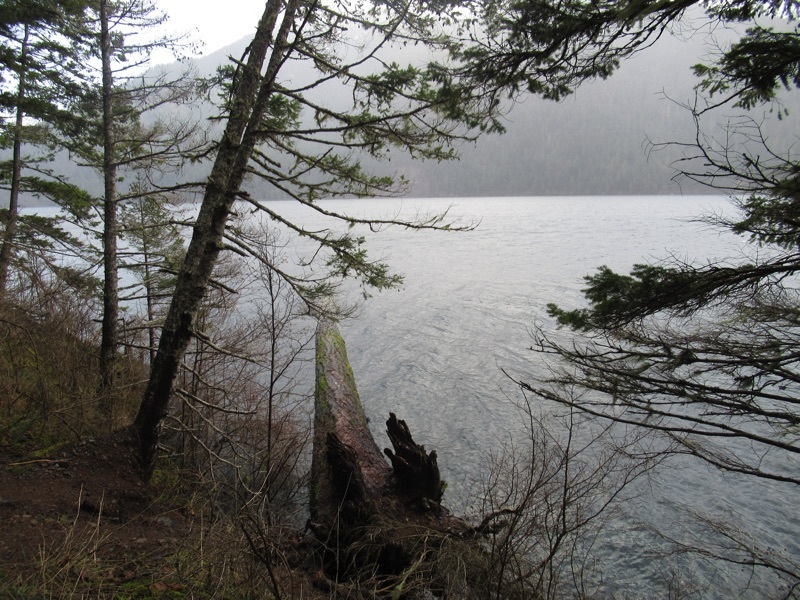 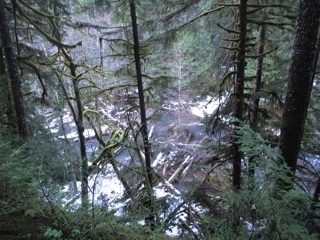 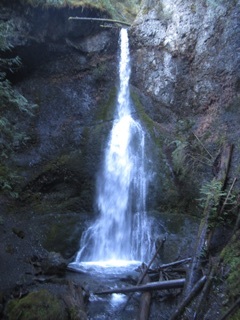 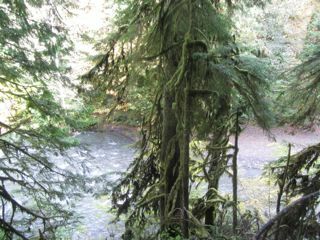 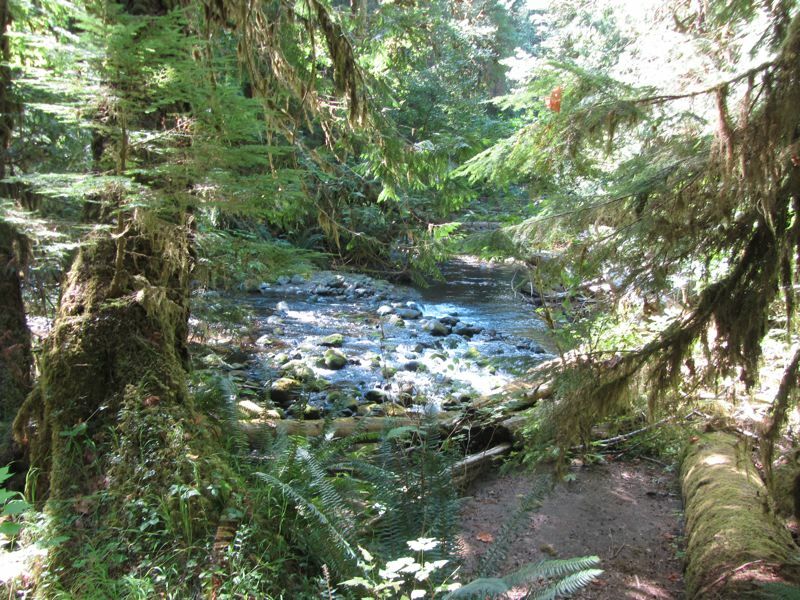 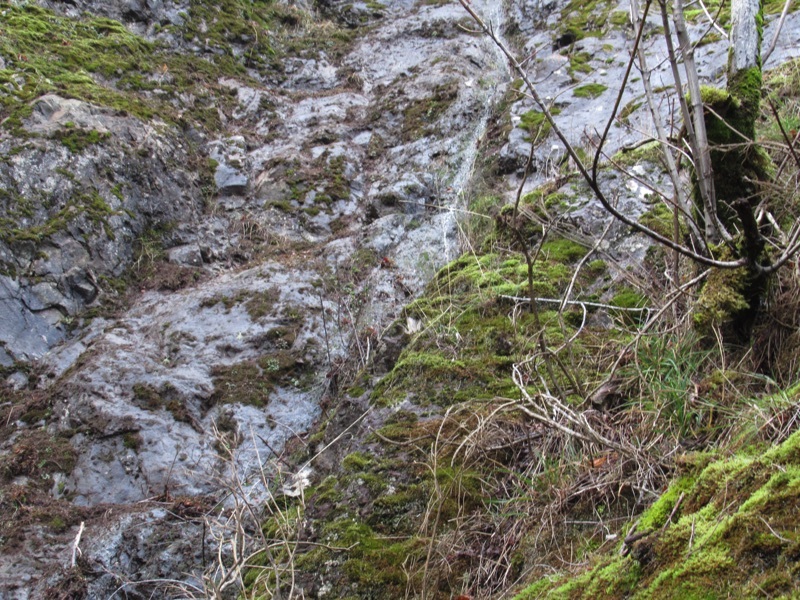 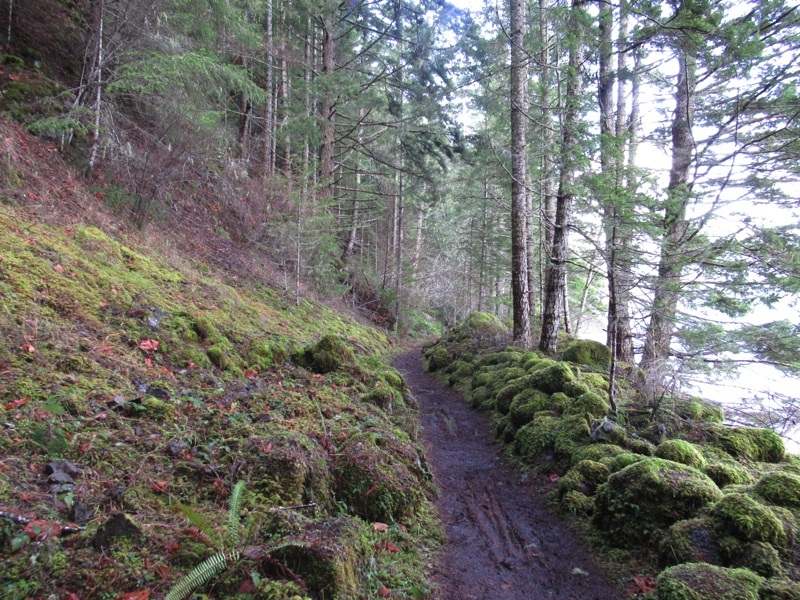 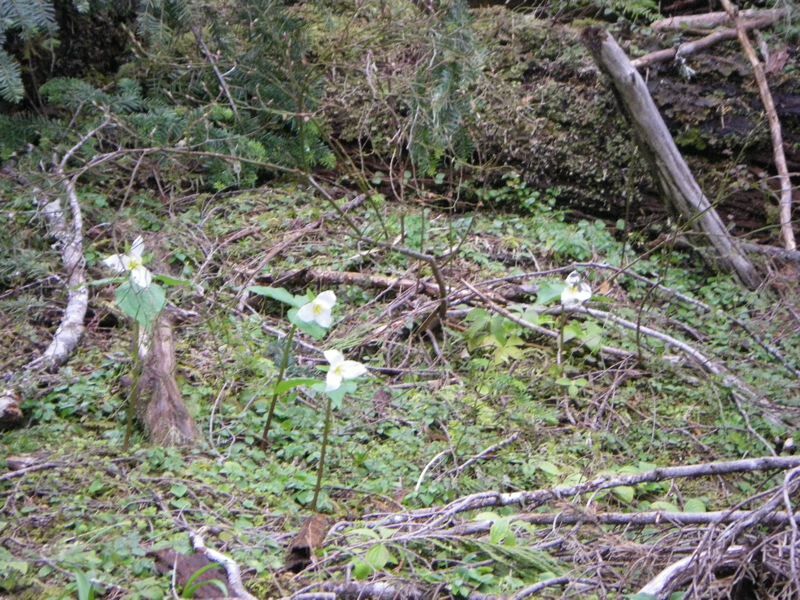 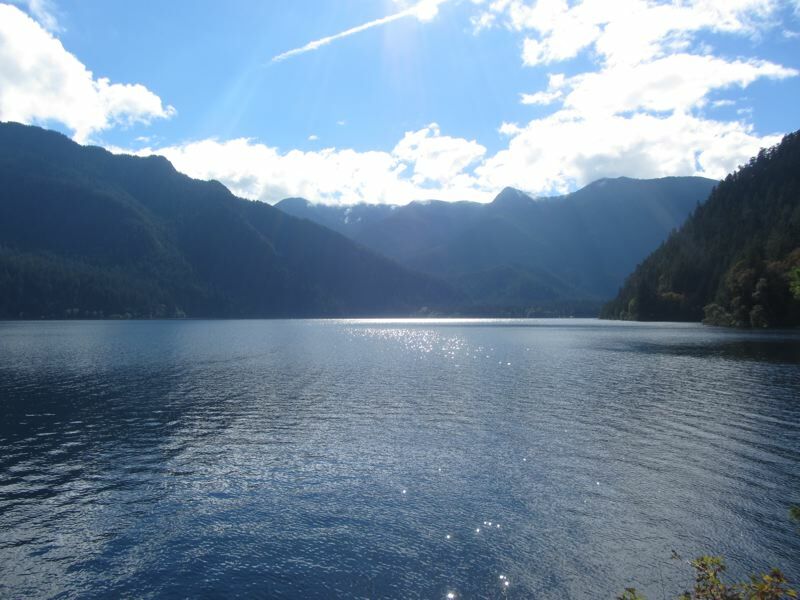 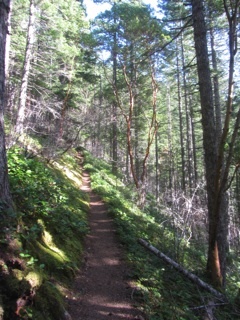 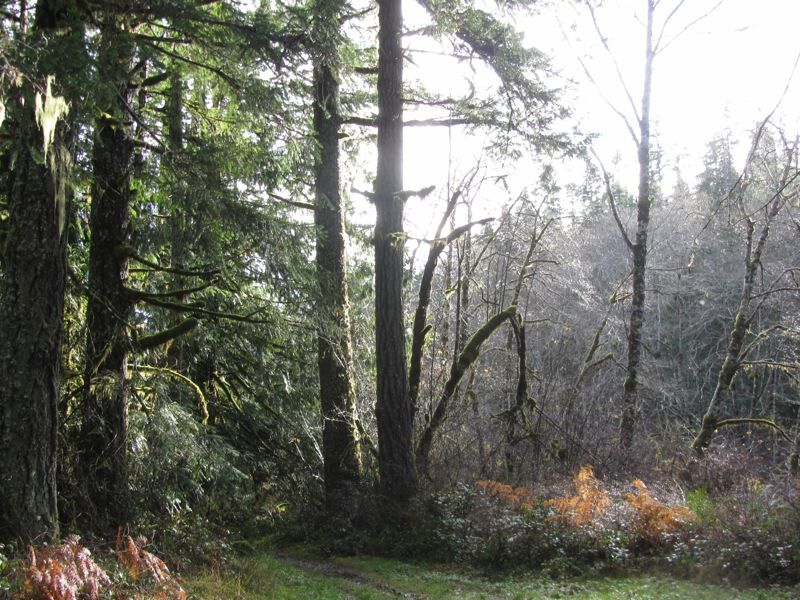 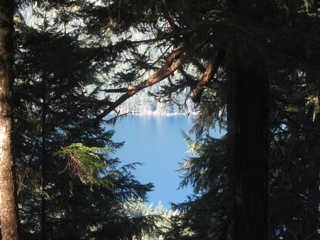 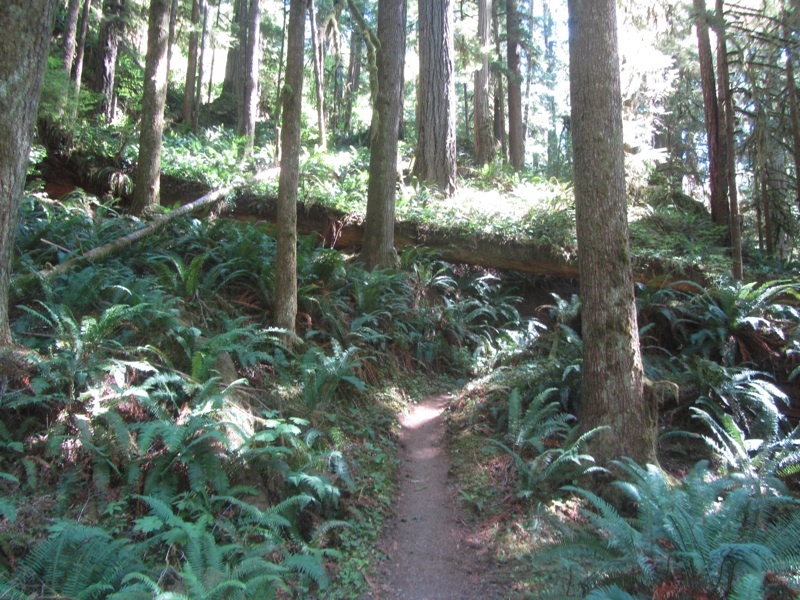 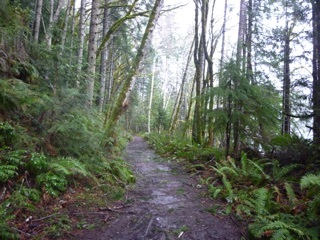 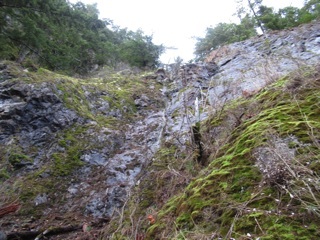 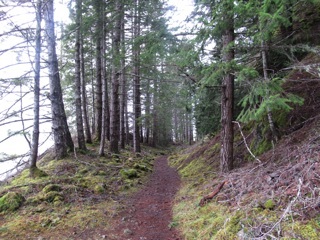 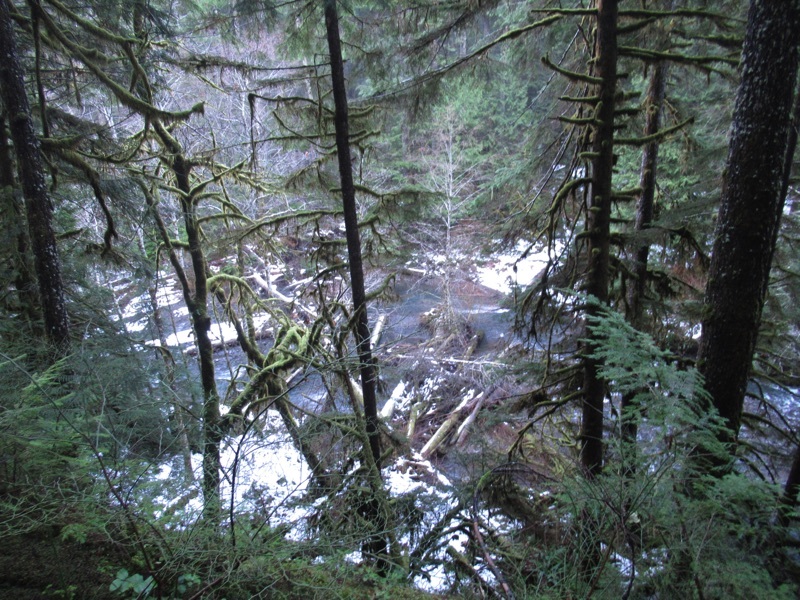 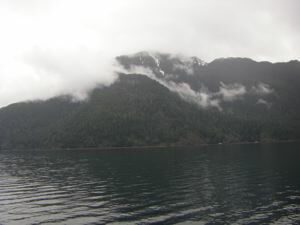 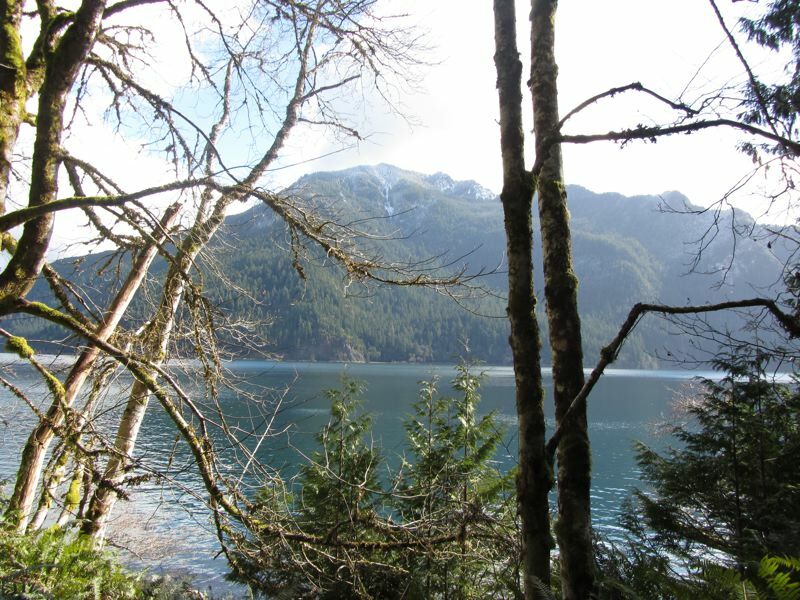 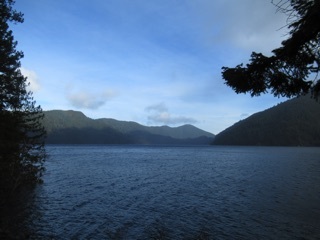 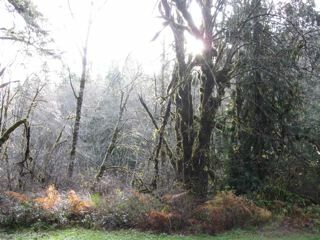 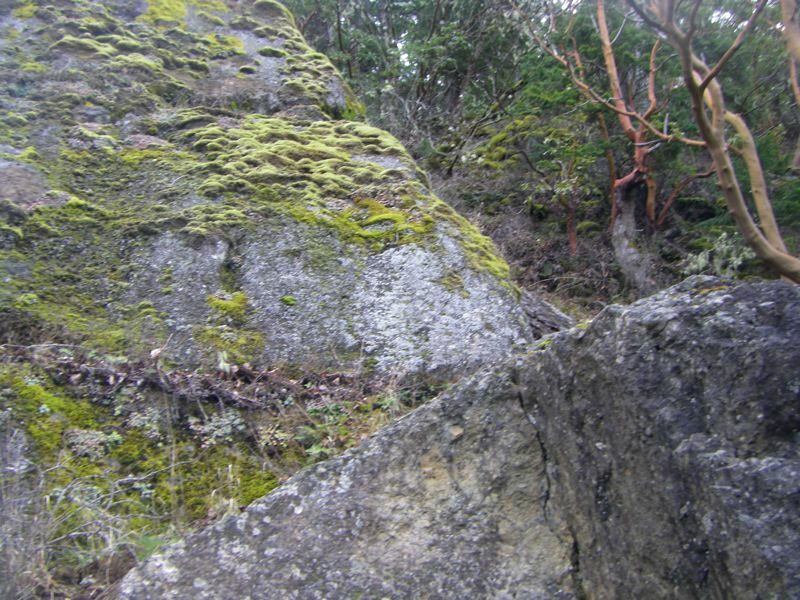 For more on Lake Crescent, see our Spruce Railroad Trail and Barnes Creek web pages. 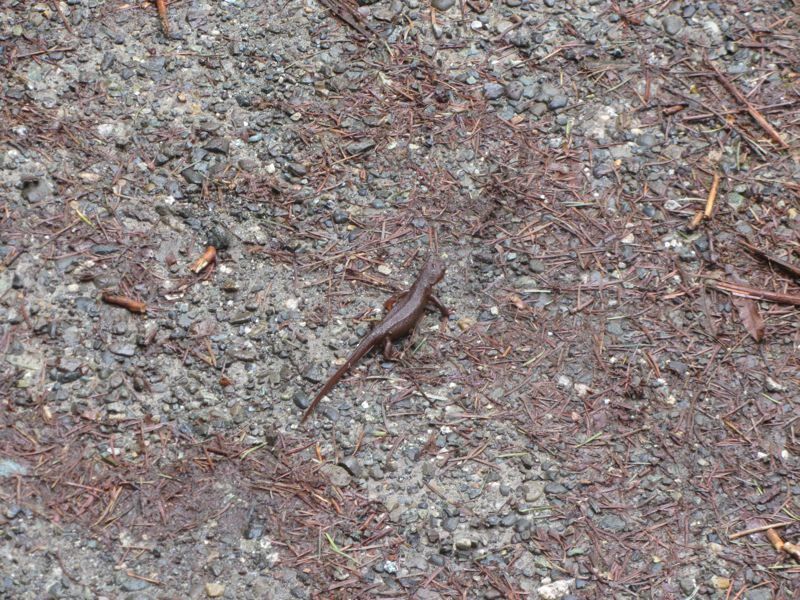 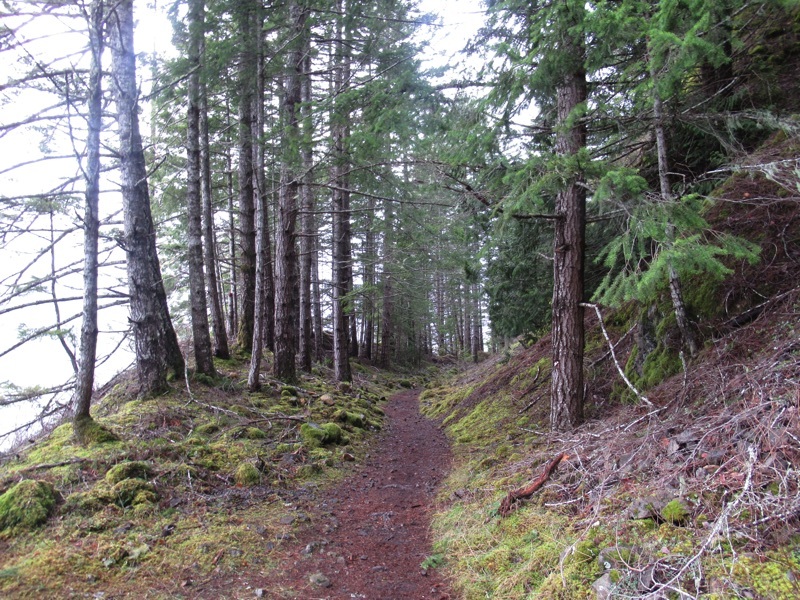 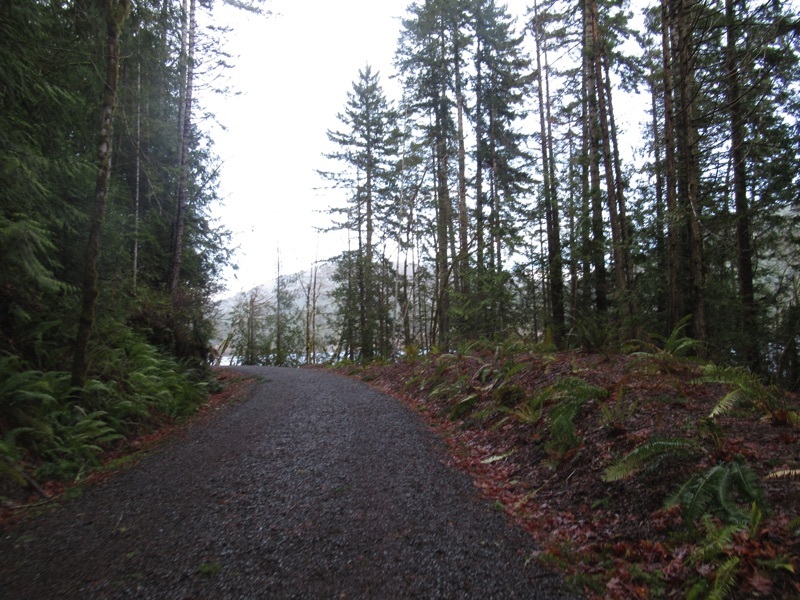 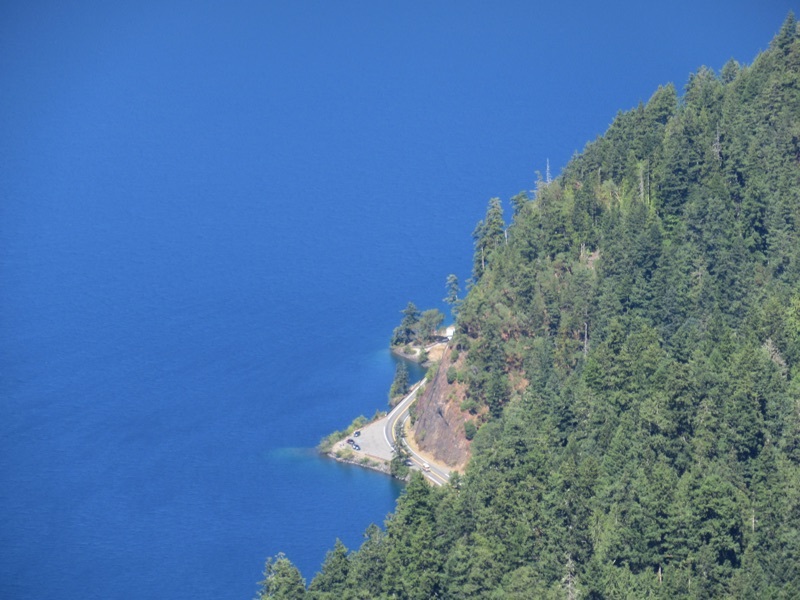 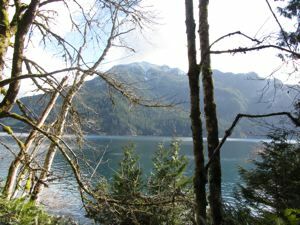 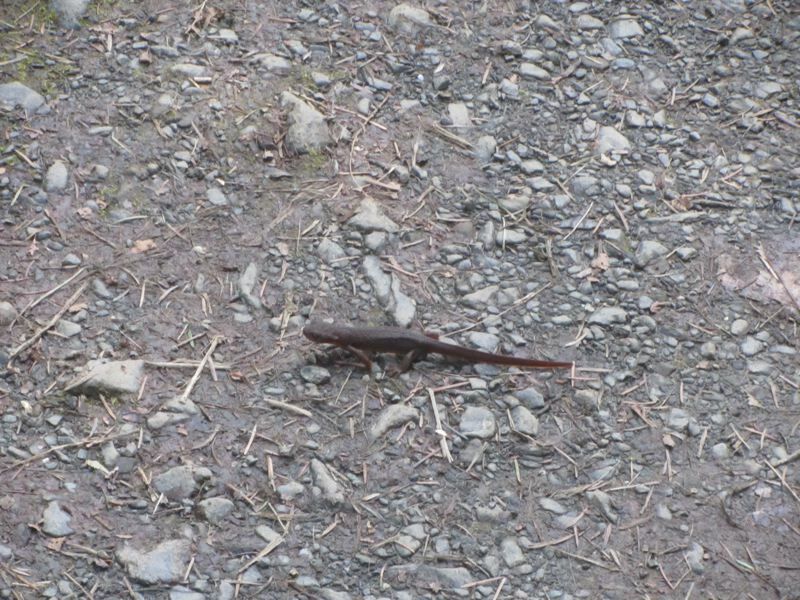 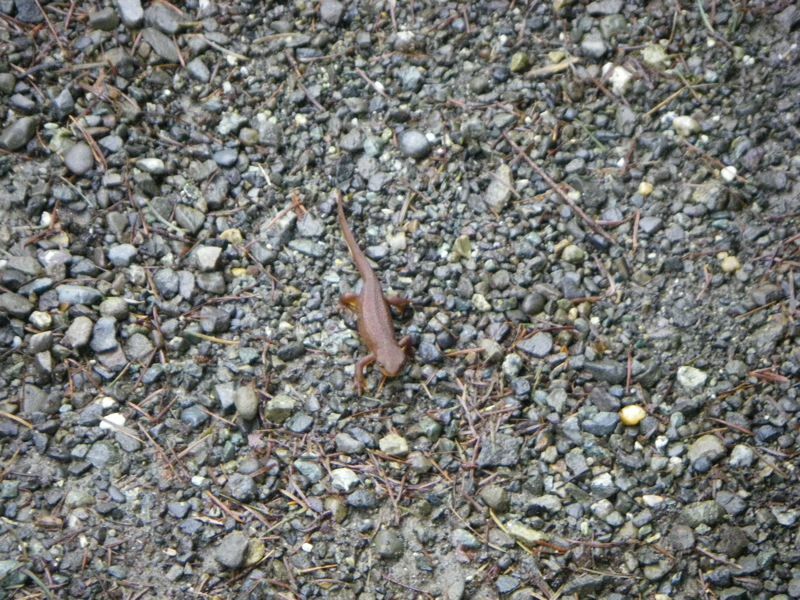 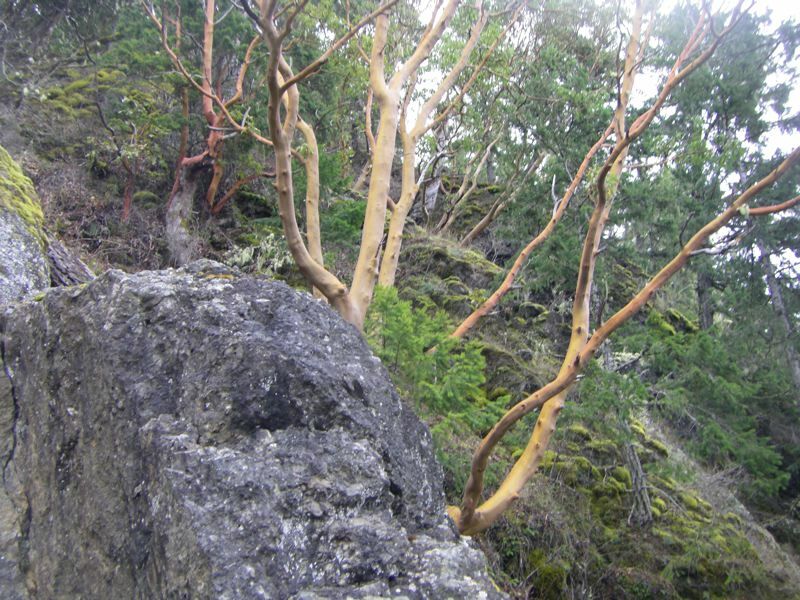 For at least five years, and probably longer, there have been plans to turn the nature trail along the north shore of Lake Crescent into a road for bicyclists. Various plans had been floated, and hearings packed with road lobbyists have been held. The environmental plan, which flatly asserts that a four acre asphalt feature hard by a deep water lake has no environmental impact, should be good news for developers everywhere. 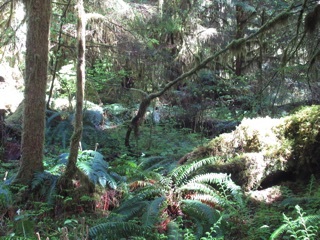 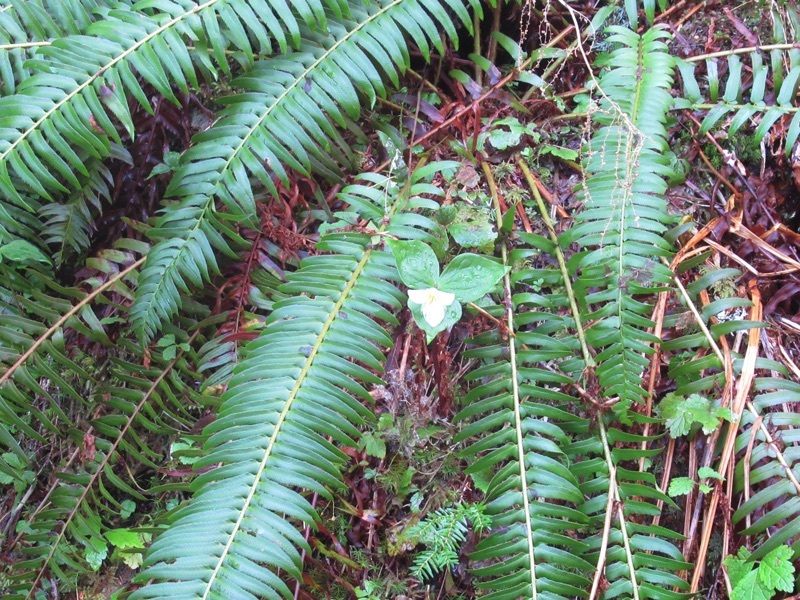 For years, the project seemed to wait, but earlier this year, we ran into some folks from the park service who were salvaging some of the hundreds of ferns and other plants that would be destroyed by the road project, Now the project is underway. 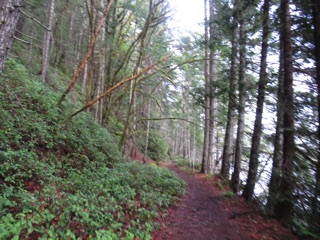 The trail is closed at the eastern end. 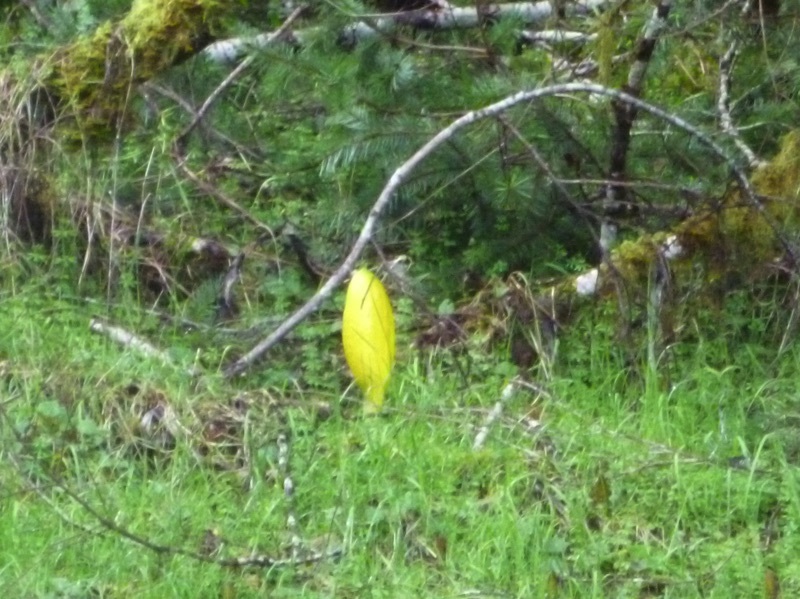 We noticed the signs about a week before construction started. 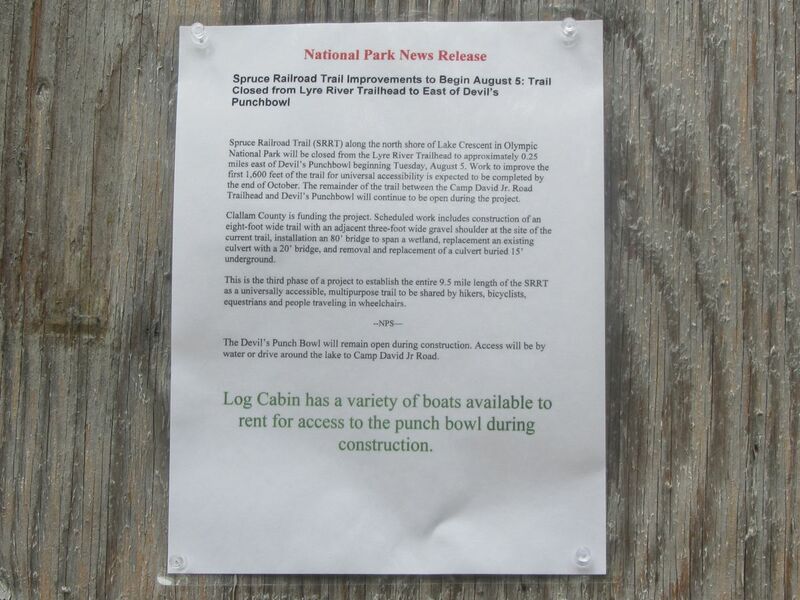 The park and local media have been surprisingly quiet about the project, though the park did issue a press release at the same time they posted the closing notices. 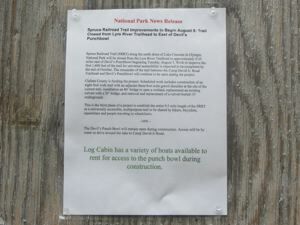 The construction is expected to run through late October. 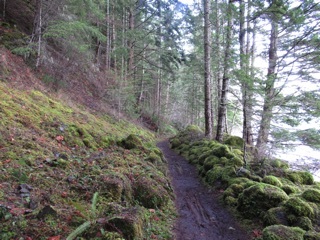 We are definitely going to miss the old trail. 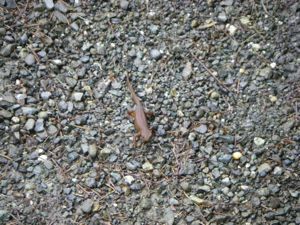 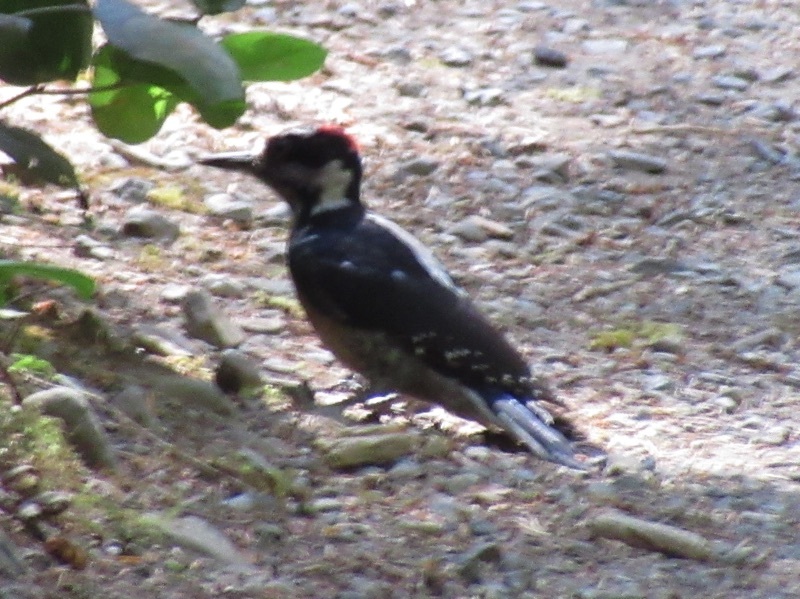 If nothing else, we're tender footed and like to walk on a soft dirt surface now and then. 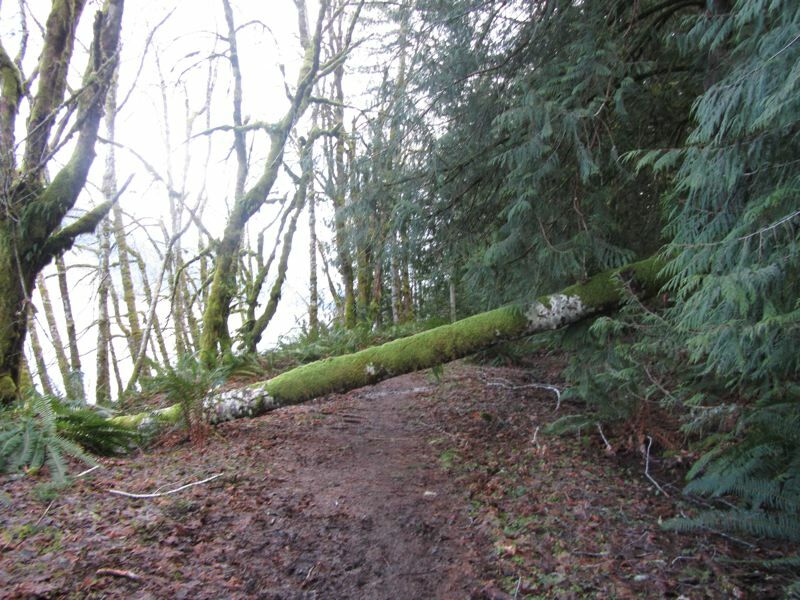 This is another victory in the war on nature trails. 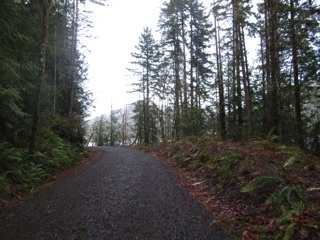 On a positive note, we are hoping that bicyclists and others, who might never have considered an unpaved trail, will enjoy the new paved version which will connect Sequim, Port Angeles and the West End. 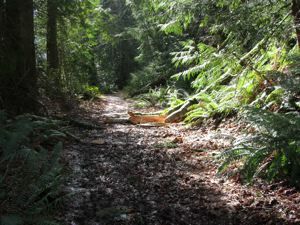 We gather this stage of construction will run to the Devil's Punchbowl, ending at the first tunnel, so you can still grab a kayak or canoe and explore the trail to the west, or you can drive around to the western trailhead via Camp David Junior Road which starts near Fairholm. 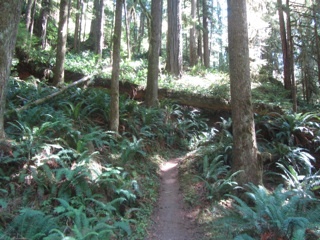 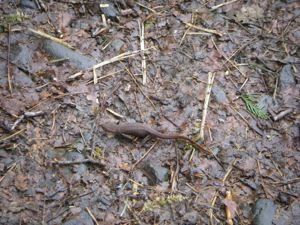 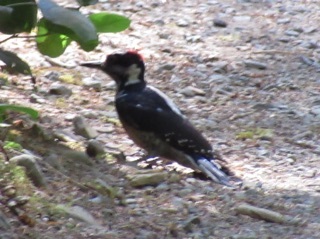 The Adventure Trail is a minor trail. It's actually part of Waterline Road, because a water line runs along it. It starts roughly where the Lyre River starts flowing from Lake Crescent and generally follows the course of the river, now and then offering a glimpse of the rapids. 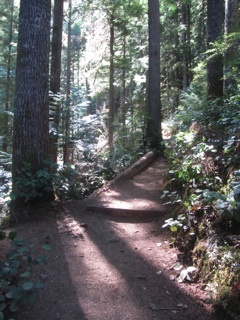 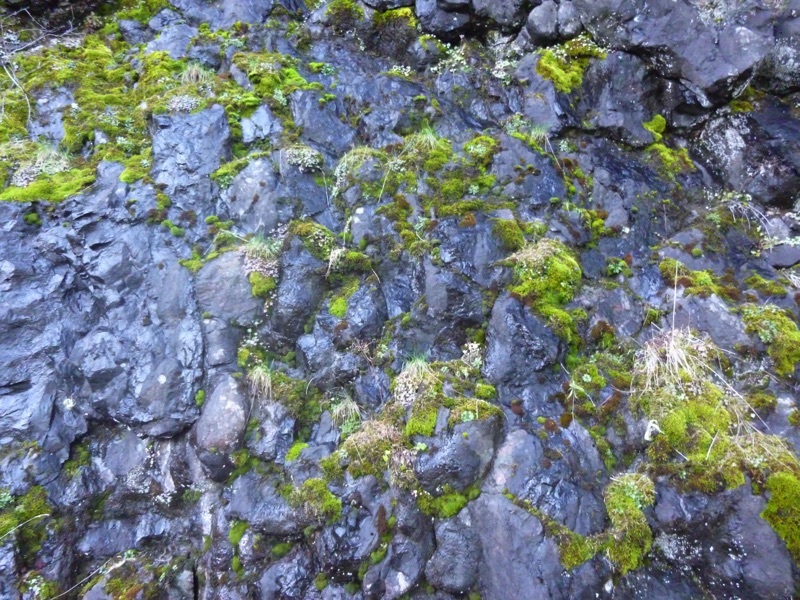 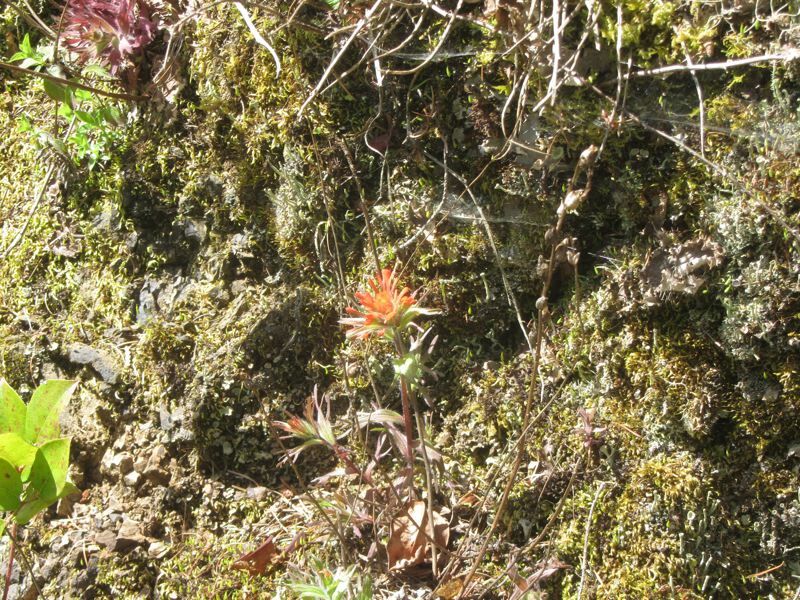 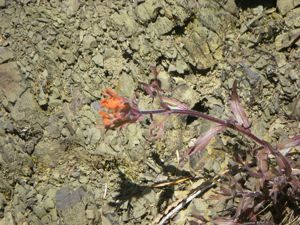 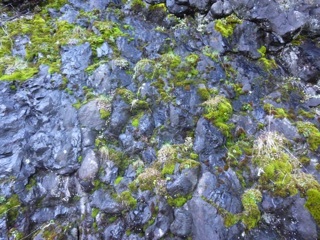 It isn't a major, must-see trail. On the other hand, on a rainy day, it offers some nice scenery. 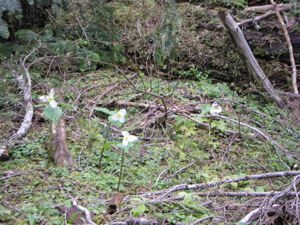 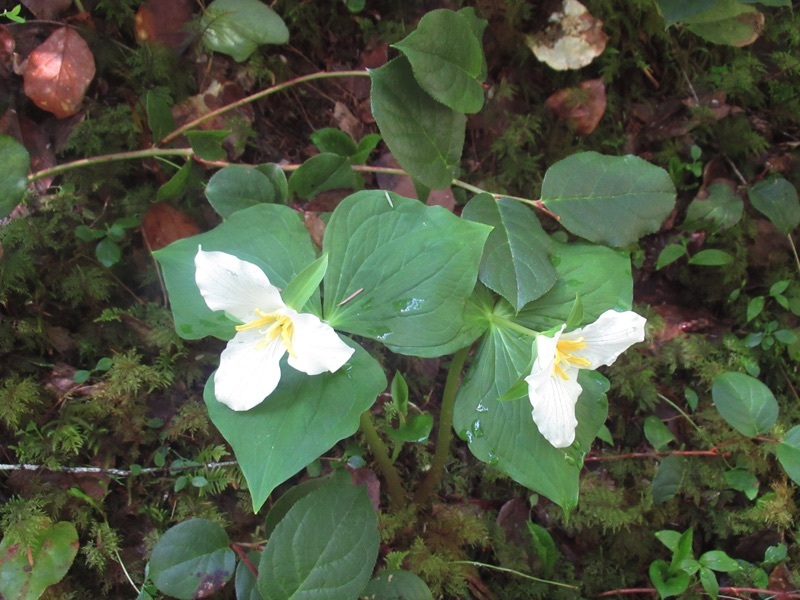 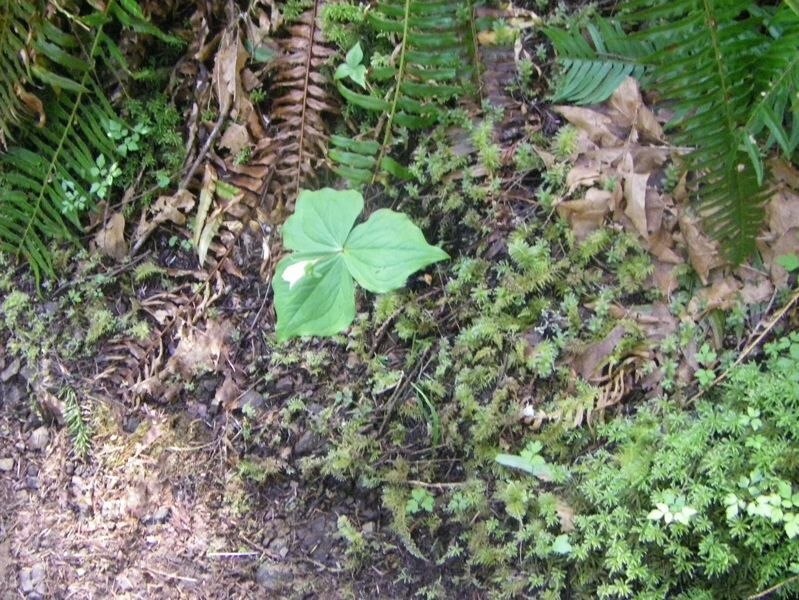 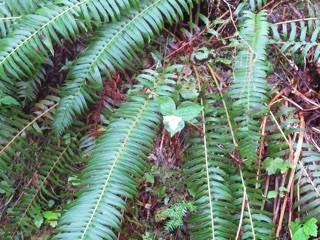 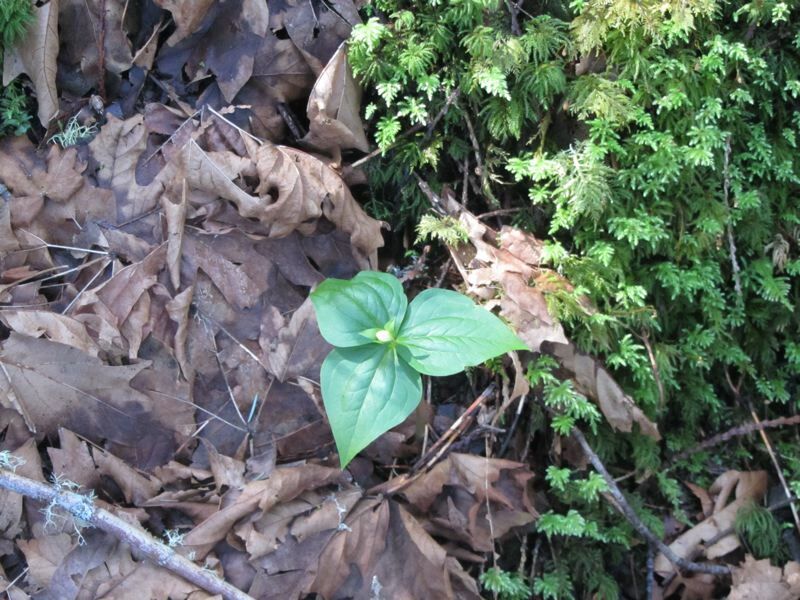 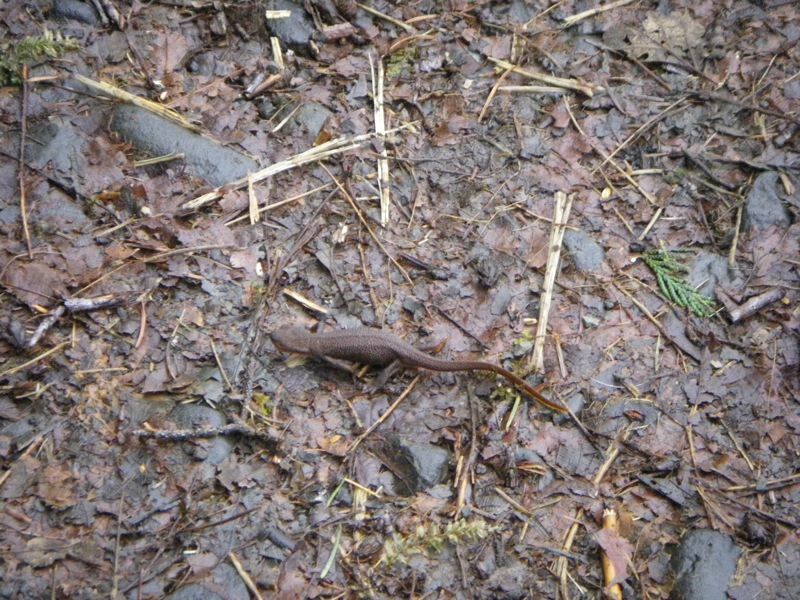 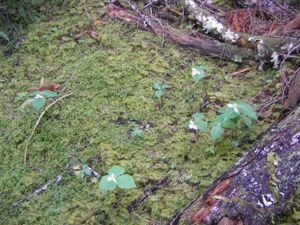 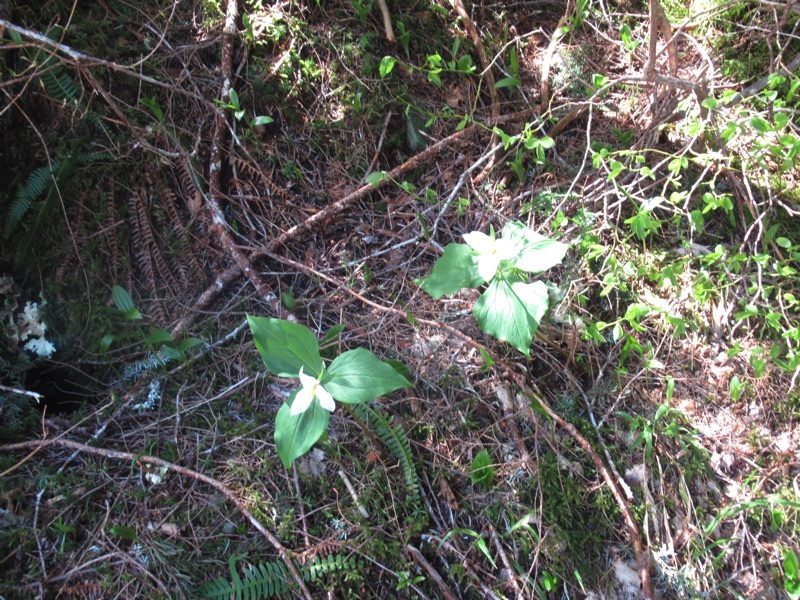 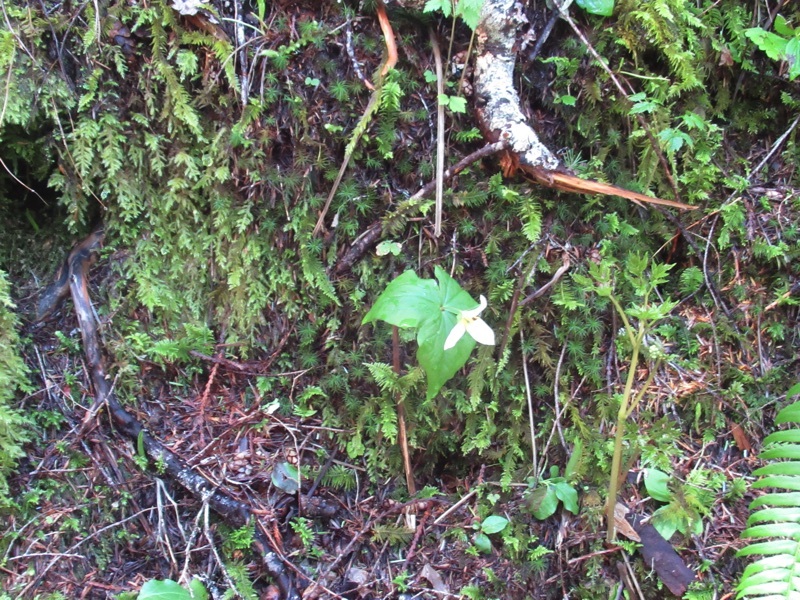 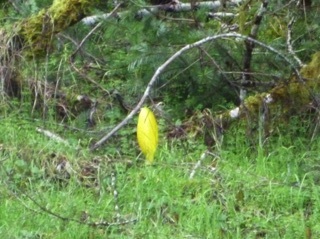 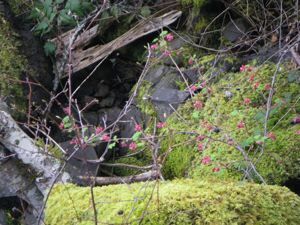 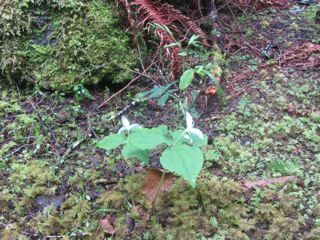 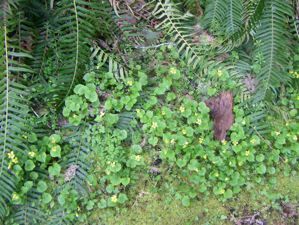 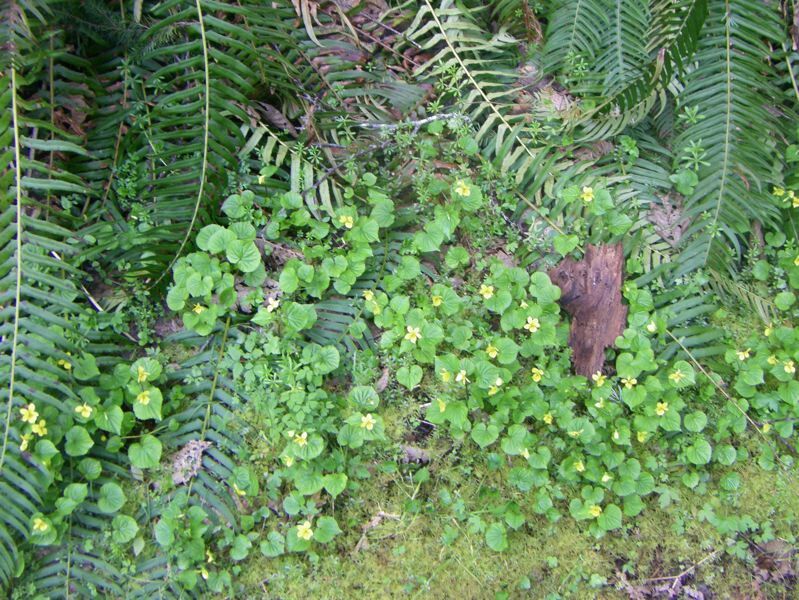 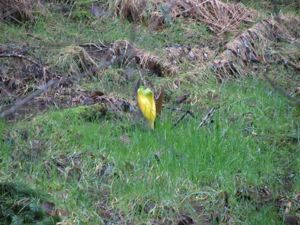 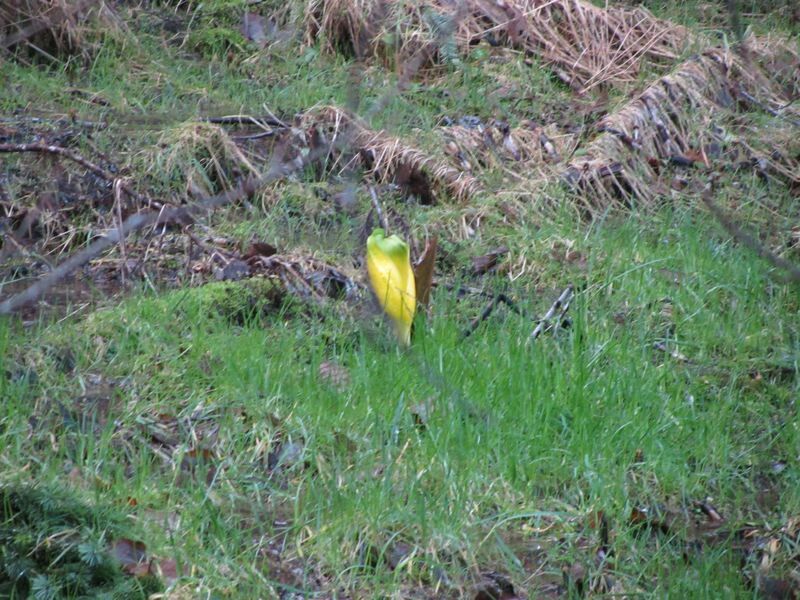 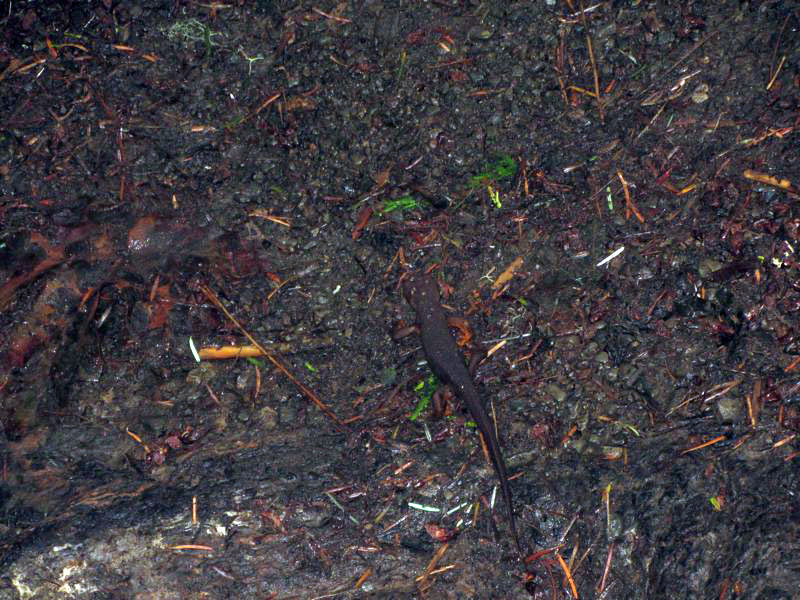 We took a short walk along the north shore of Lake Crescent, and the big news was the first skunk cabbage of the season. 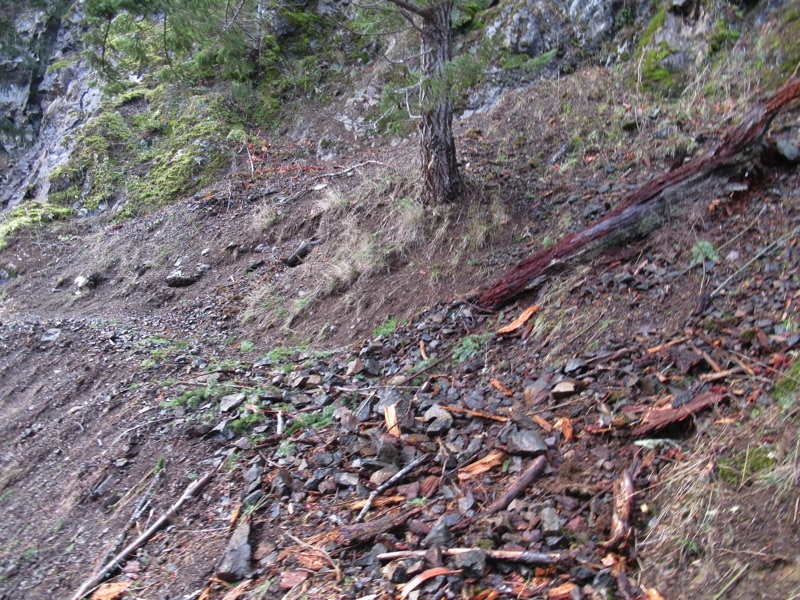 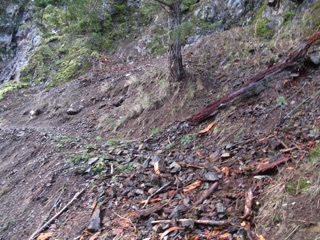 We also saw a couple of downed trees, which isn't surprising given some of the recent winds.